Here are your Nevareth Influencers! 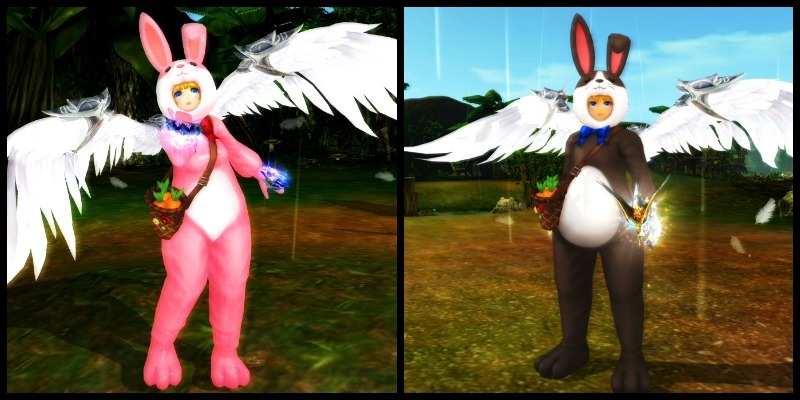 Celebrate Easter with the Rabbit Doll Costume! Don’t miss out on this exclusive character outfit! 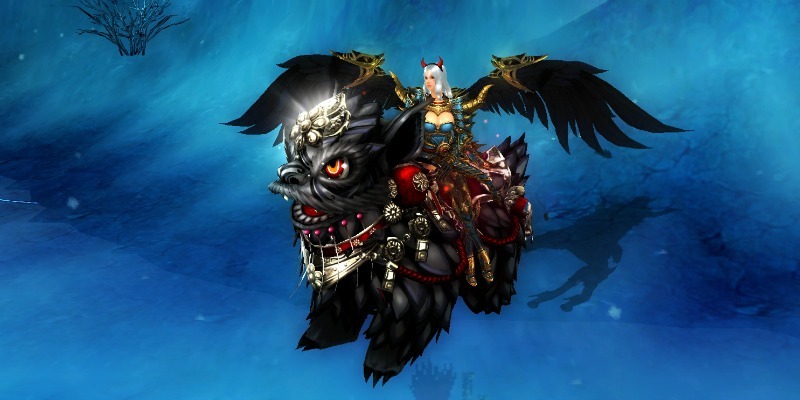 Ride the darkness with the Black Bukcheong Lion! Open the Black Lion Box for a chance to win! Release your dark side with the Black Wing Box! Reshape your Force Wing with this exclusive costume! 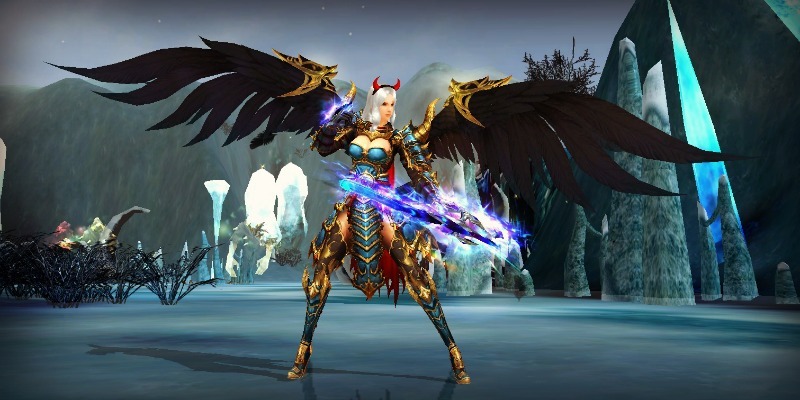 Spread Your Wings: our newest CABAL Online event! Episodes XXI & XXII: Force Wings are here! New items & changes coming to the Item Shop! Force Wing and Vehicle Costume tools, & much more! 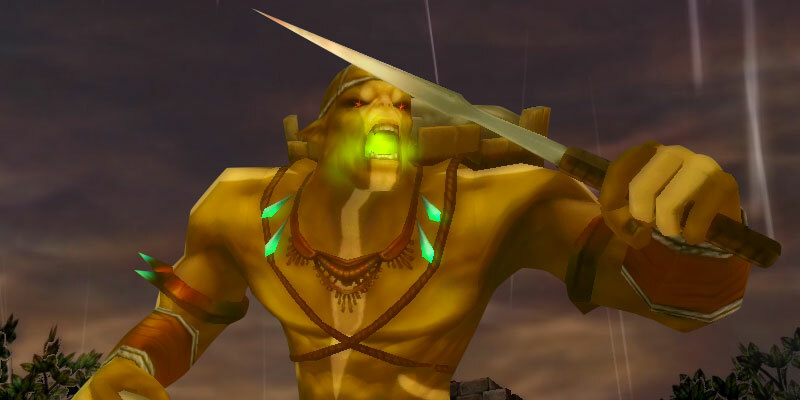 Calling all CABAL Online streamers! Bring your ‘A’ game and become the Nevareth Influencer! Flash Sale: Honor Medal Reset Scroll! Time to prepare for what is coming next! Embrace the darkness with this amazing new costume! The Dark Party Box arrives in the Item Shop! The St. Patty Lucky Box is here! Get your hands on the Dinosaur Doll Clothes and much more! 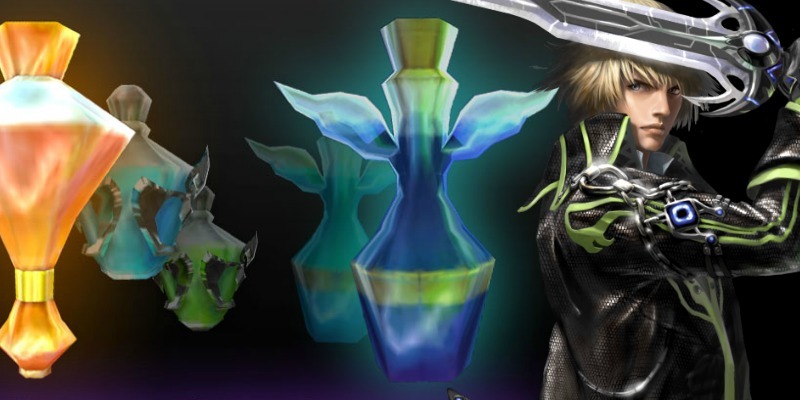 Upgrade your game with these amazing new potions! Revamped Potion of Luck, and introducing Potion of Craftsman & Potion of Enhancement! 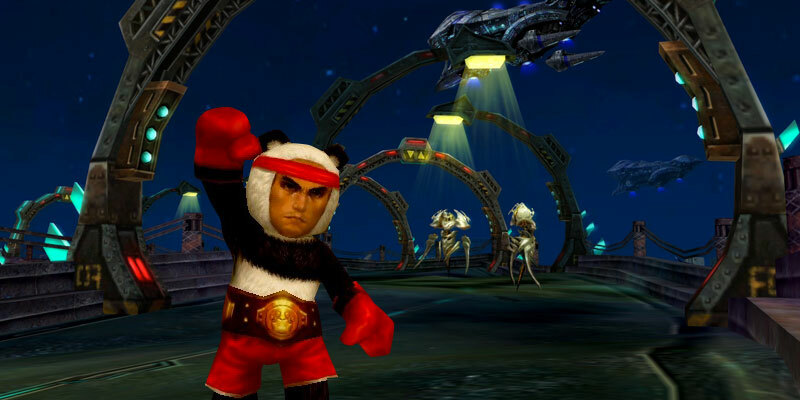 Become the ultimate warrior with this exclusive costume! 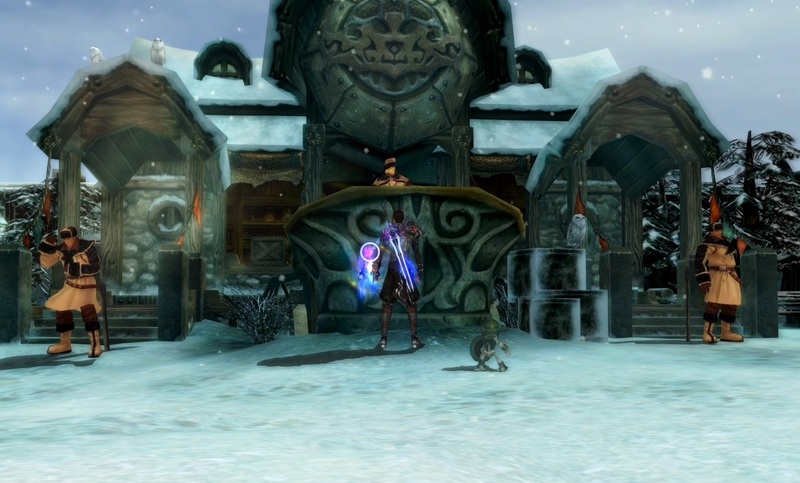 Open the Warrior’s Soul Box for a chance to win! 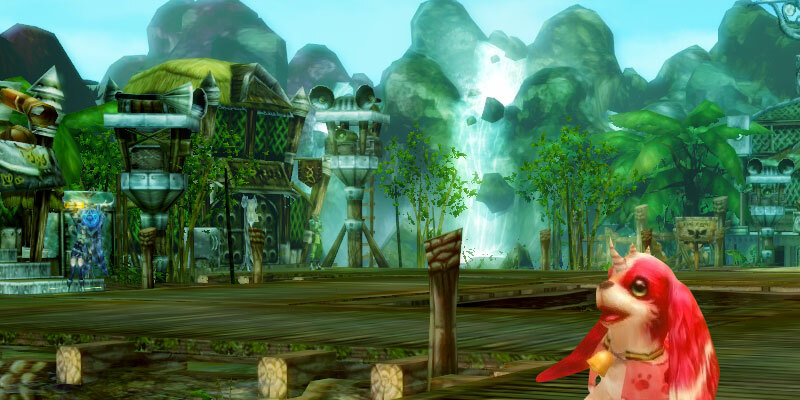 Show your character growth as you train across Nevareth! Venture out into the Operation Warlord! Compete against the best challengers Nevareth has to offer! Lots of masks and weapon skins for you to choose from! The White Bukcheong Lion prowls its way into the Item Shop! 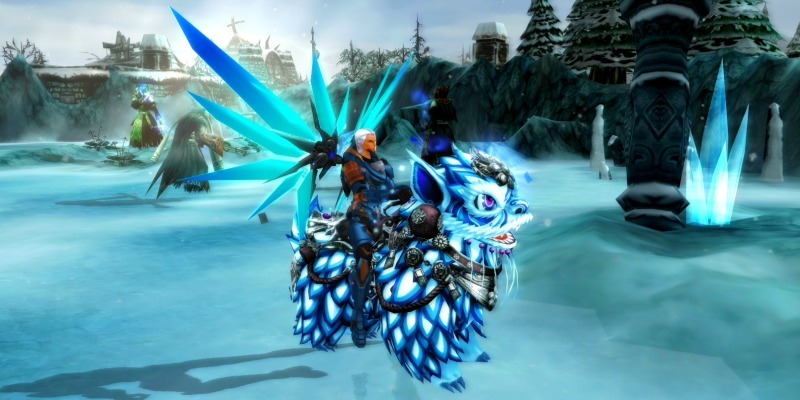 Open the White Lion Bike Box for a chance to win this amazing skin! 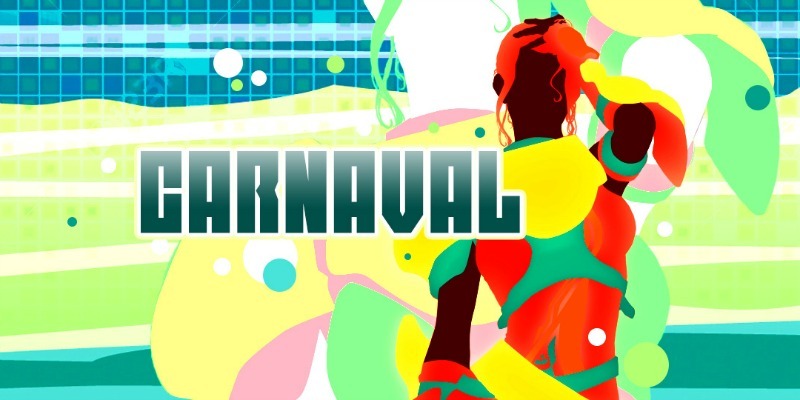 Carnaval has arrived in Nevareth! Get Valentine’s Day right with these deals! 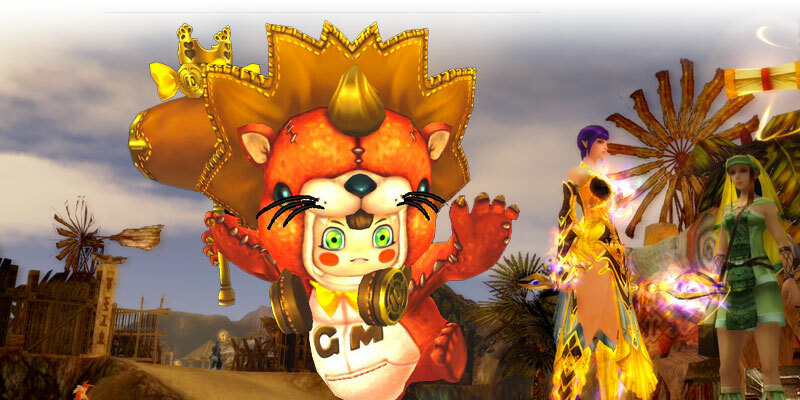 Premium Pets, Change Kits, costumes, and more at up to 40% off! Love is all around Nevareth! 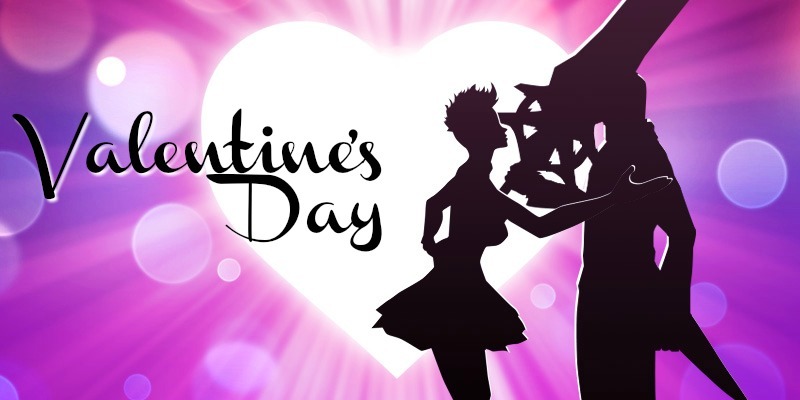 Come celebrate Valentine’s Day with us in a Bonus Week event! Enhance your game with this exclusive sale! Superior & Enhanced Cores at 20% off! Here is our CABAL Lovebirds of 2019! The Lunar Year Shop is here! 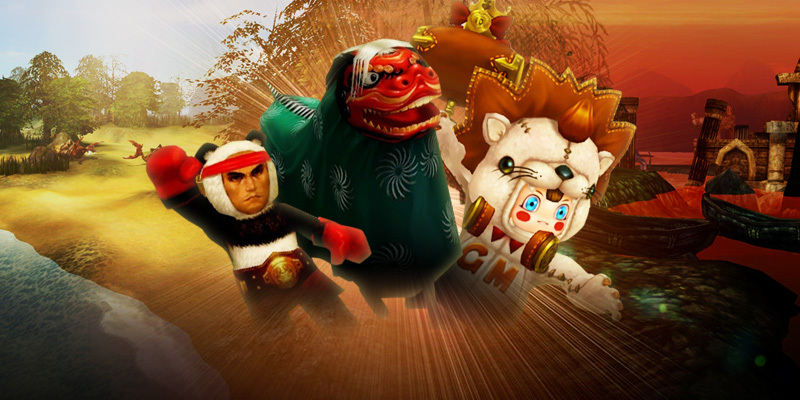 Celebrate the Year of the Pig with amazing CABAL Online goods! The game is on with the new Super Shark Football! Open for a chance to win exclusive items! 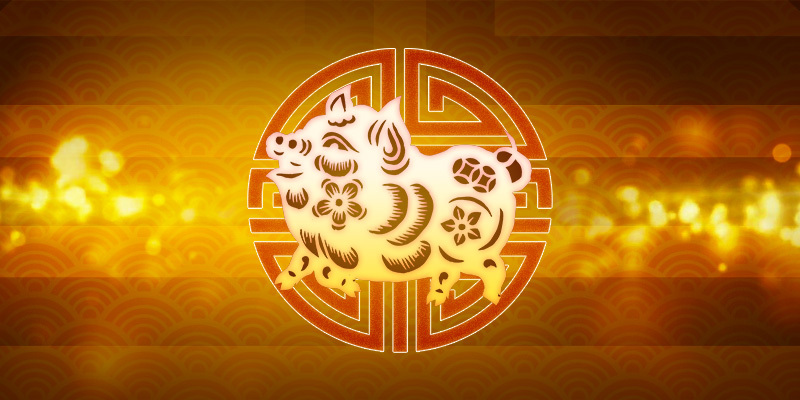 Nevareth welcomes the Year of the Pig! 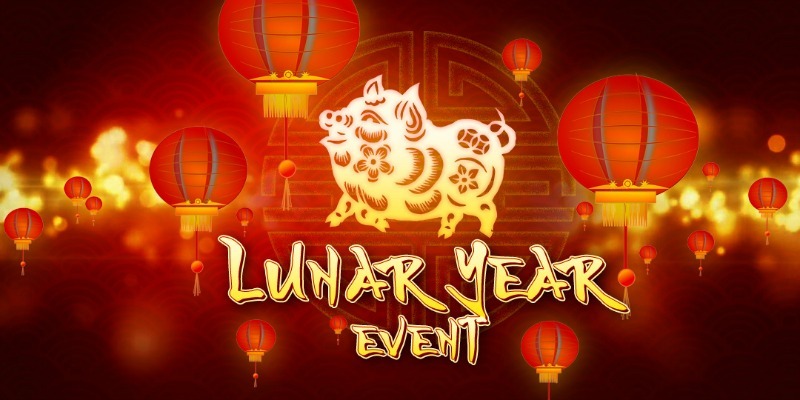 Entering a Lunar New Year in style with epic events! [Extended] Veradrix has your back! 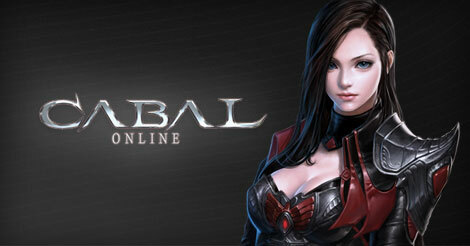 Ensure your bookmarks are up to date to continue accessing the official CABAL Online website. Play it safe with Enchant Safeguard! Protect your gear with ease, now at a lower price! 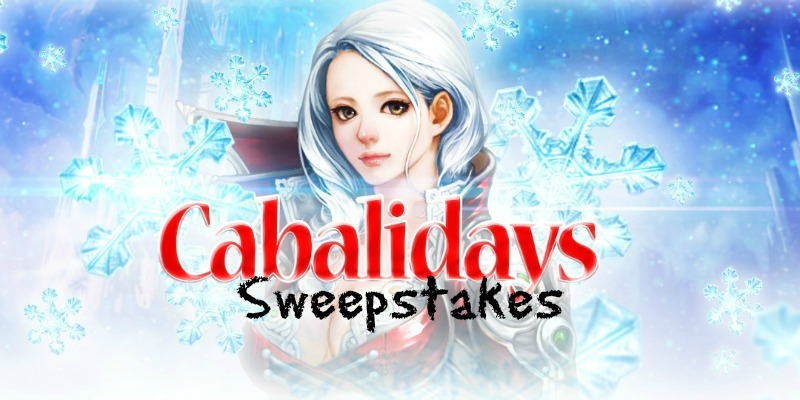 Celebrate Valentine’s Day with a special CABAL Online contest! 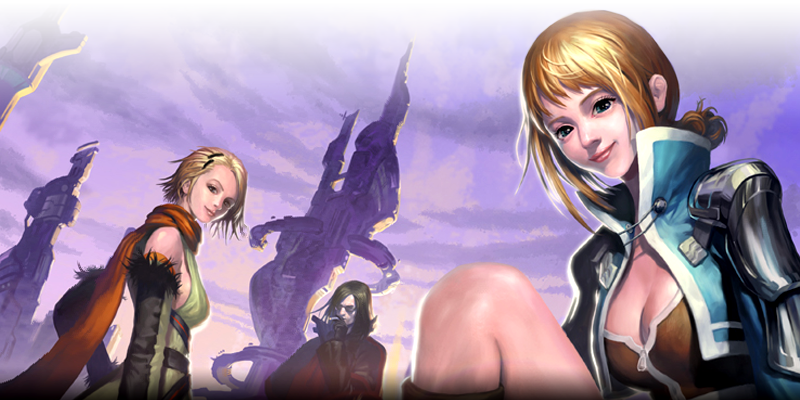 New link for our CABAL Online forum. On the Item Shop, it is still Christmas! Presents Lv. 1, Lv. 2 and Lv.3 available now in singles and packs of five! Prepare for the ultimate team up with the Oath of Sacrifice! Available at a discount for a limited time only! Get ready for the Cabalidays sales season! 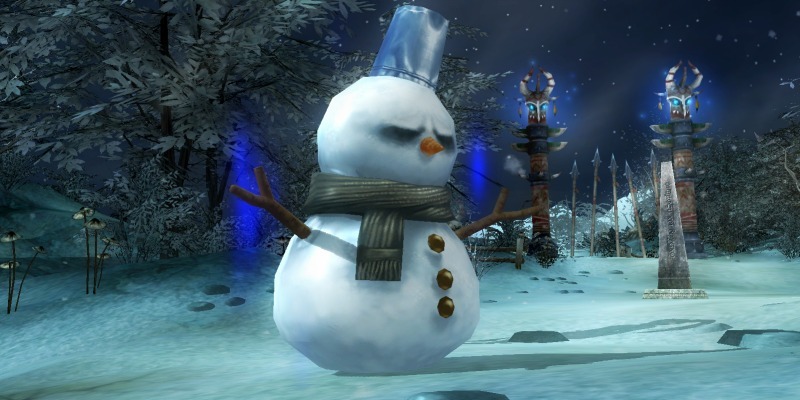 Fan favorite services and holiday-themed items at a huge discount! The Blue Bukcheong Lion is here! 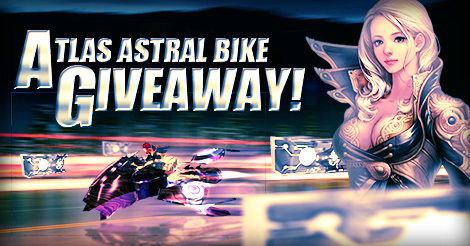 Don’t miss out on this exclusive Astral Bike costume! Character Slot Openers, and more, at 20% off! Your favorite event has made its way back to Nevareth! 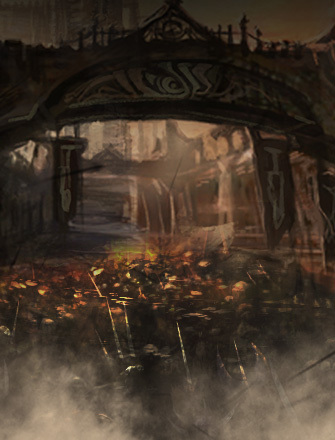 Run smoothly through your dungeon adventure with some aid! Be the most sophisticated hunter in Nevareth! The time to select our lucky winners is here! 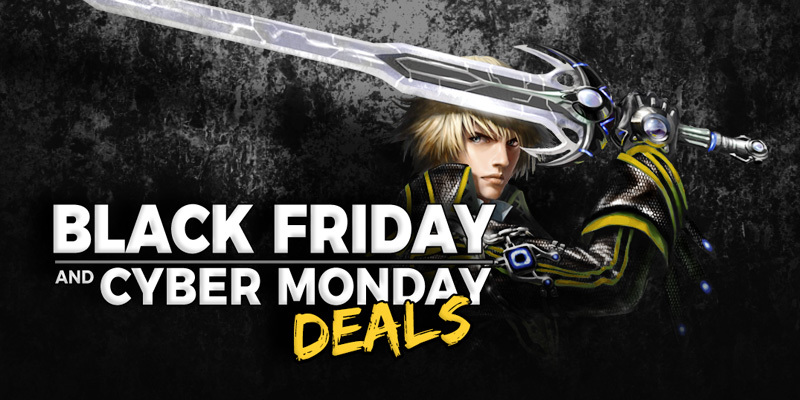 [Extended] The CABAL Online Black Friday sale is here! Costumes, Pets, Mercenaries, and much more! 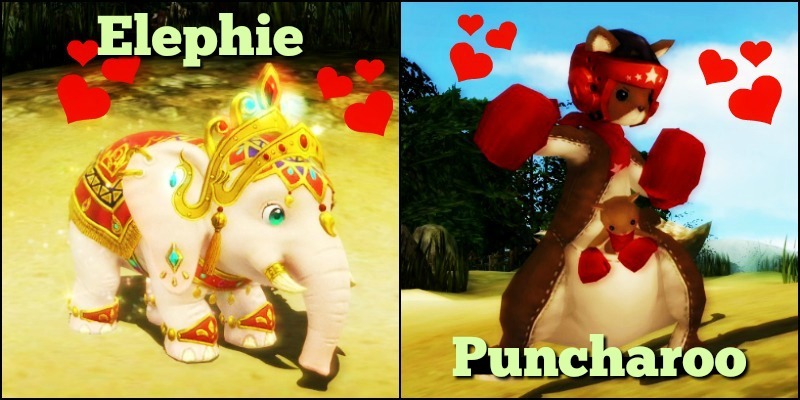 Here are the winners of our “Name our Pets” contest! Make way for our naming experts! A Onesie to rule them all! Complete the Bear Doll costume with this amazing box! 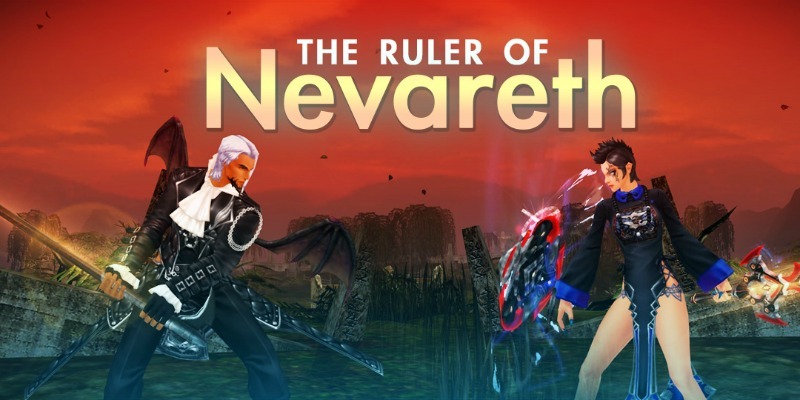 Do you have what it takes to rule over Nevareth? Prove your worth in the latest event. Let the games begin! The forum is currently unavailable until further notice. Get ready for a costume out of this world! Space Suit makes its way into the Item Shop! Because adventures are better with your best friend! 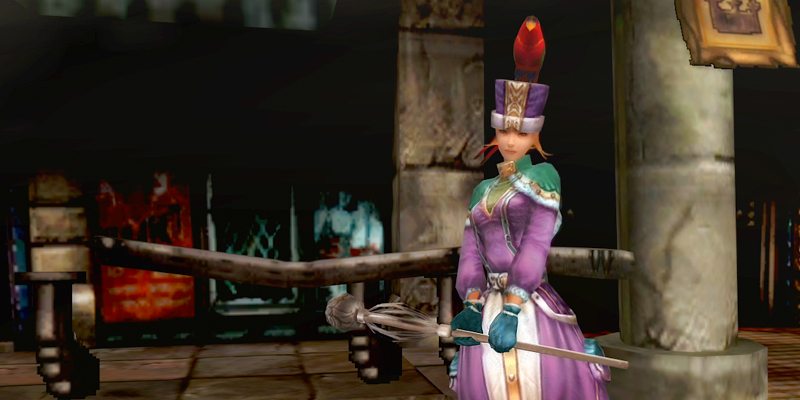 Complete your costumes with stylish headgear! CONTEST: Name our brand new pets! 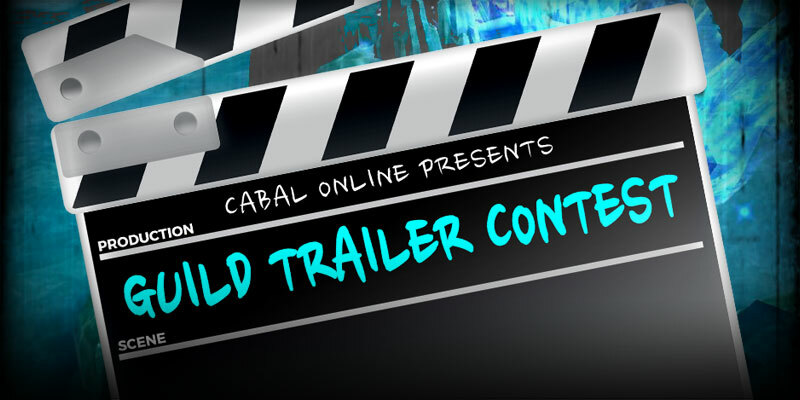 This is your chance to make CABAL Online history! Join the undead with this amazing costume! 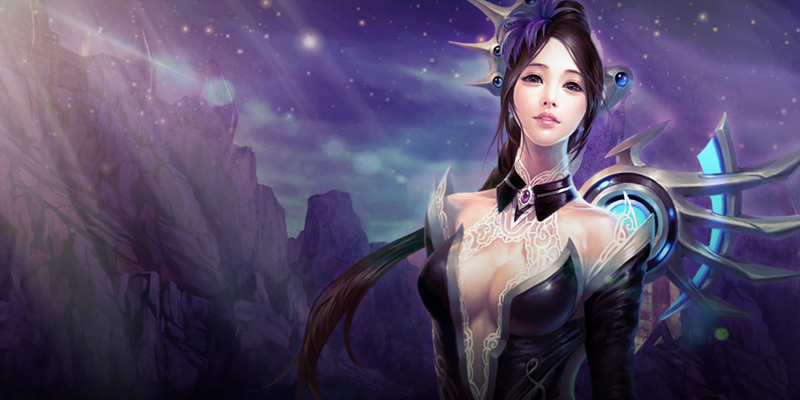 Start fresh with Honor Medal Reset Scroll! Hurry! Available for a limited time only! The MEGA Halloween sale is here! Celebrate the spookiest time of the year in style! More Caballoween specials coming your way! Upgrade your gear with ease! Enchant Safeguard - Highest available in the Item Shop, at a lower price! 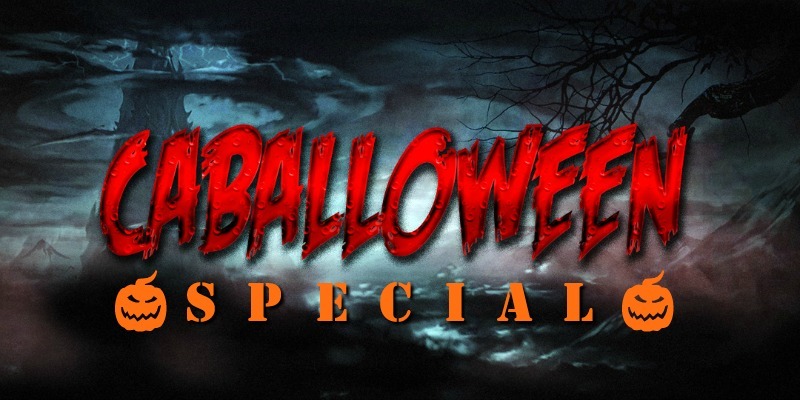 The Caballoween Specials are here! Ruler of Night available in the item shop! Enjoy select 180 or 365 days plans at 25% off! Wash away your troubles with Holy Water! Revised prices for multiple Holy Water and Odd Circle items! 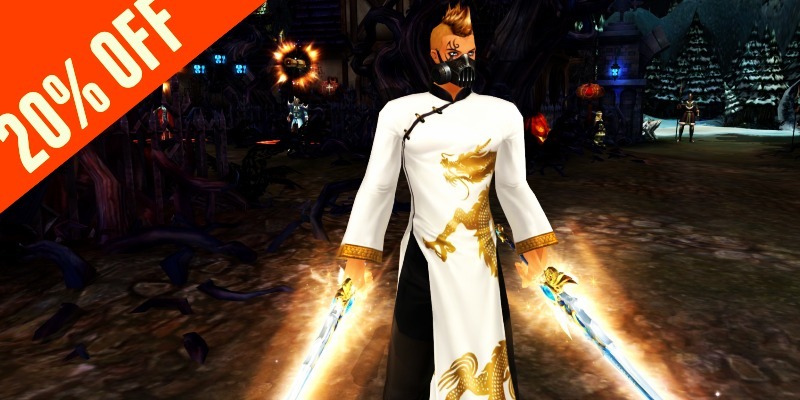 New Bounties Await with this Amazing Costume! Bounty Hunter costume available for a limited time only! Please check your mailbox to claim your rewards. Stay Golden with the Imperial Dress! Now in the Item Shop, for a limited time only! It’s time for a character makeover! 25% off Hairstyle / Face Change Kits & Rename Card! The Devil Hunter has arrived! Open the box for a chance to get this unique outfit! Time to put your hands on some Blue Gold! All Force Gem Packages 25% off! 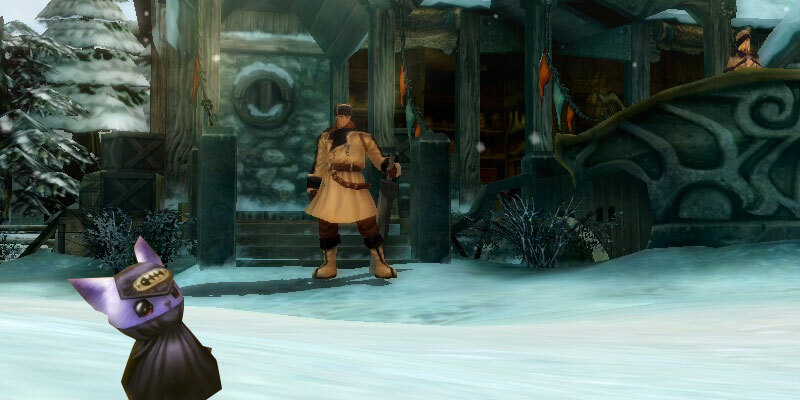 Breeze through dungeons in style with these versatile gems! Guardian of Light box available for a limited time only! 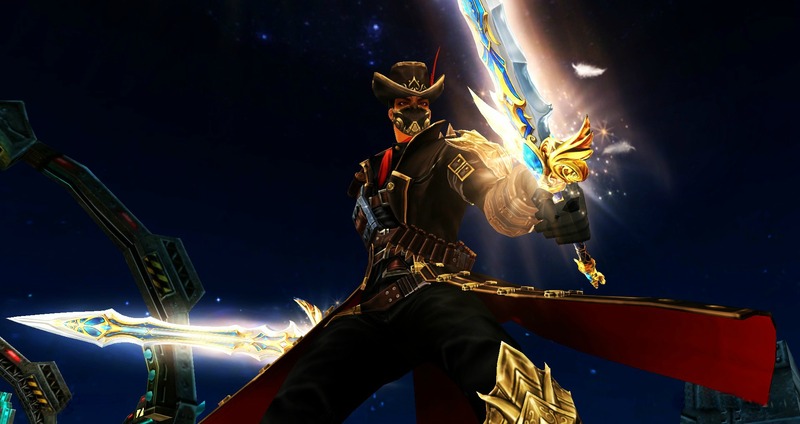 Fight off the darkness with these amazing weapon skins! Enjoy more days of bonus! Capellas and Procyons, who deserves Nevareth’s glory? Maximize the holiday bonuses with these amazing Premium Service deals! 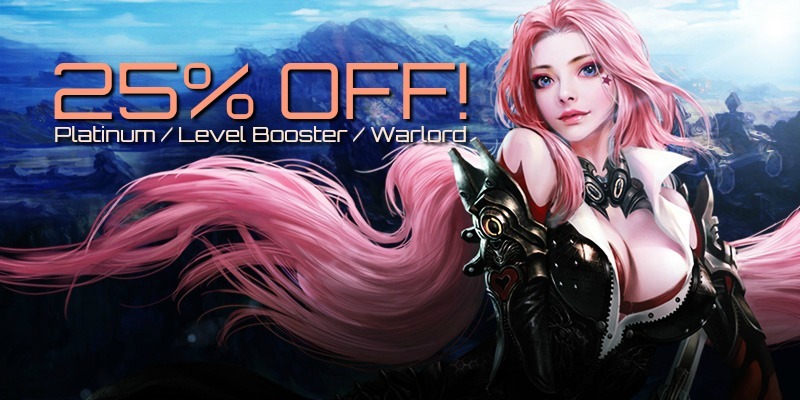 Enjoy Labor Day in style with Level Booster or Warlord Service! Labor Day Week Bonus Bonanza! 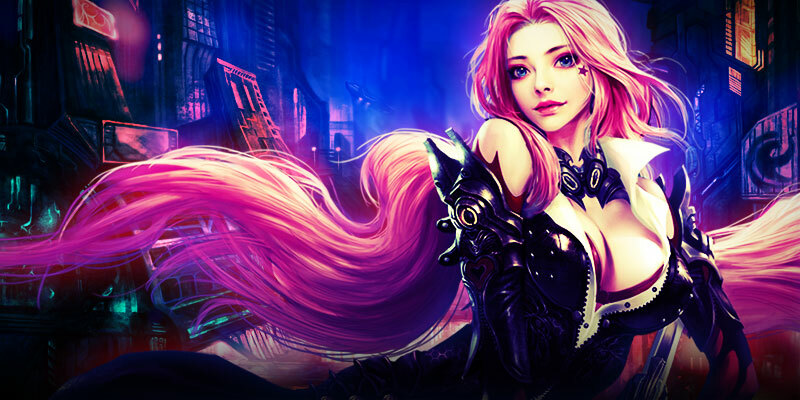 Gain a massive +350% bonus this entire week! 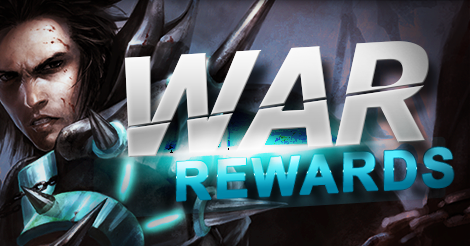 Claim victory over your enemies and reap the rewards! Score terrific items just for leveling up! Get ready for the Space Suit box! Stand out from the crowd with a costume out of this world! Account Transfers - 20% OFF! That’s a deal you don’t want to miss! Get the support you need with Blessing Beads! Go further and faster with these little gems, now at an even lower price! 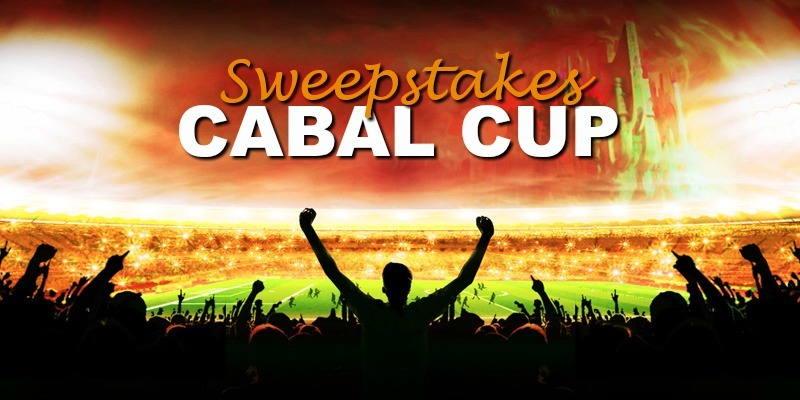 CABAL CUP Challenge - Prize Details! It’s time to reap the results of your hard work! 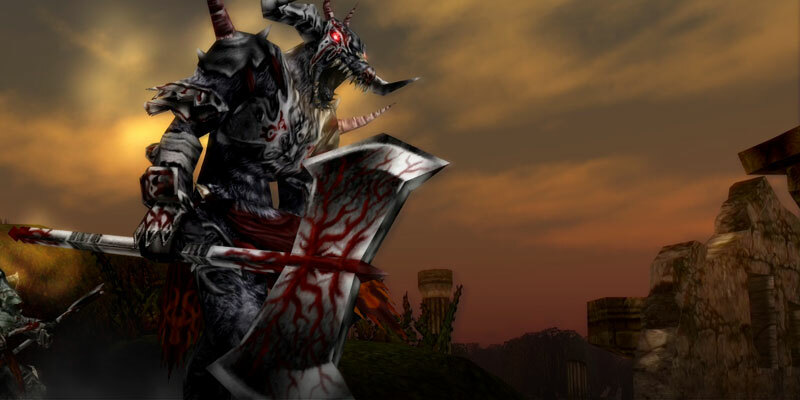 Slay Monsters and Conquer the Day… and the loot! The beloved accessory is on sale! Minesta Charms: 25% OFF! More potency for your audacious battles! Blended Rune Box is now available! Upgrade Point Rewards is back! And with a bonus! 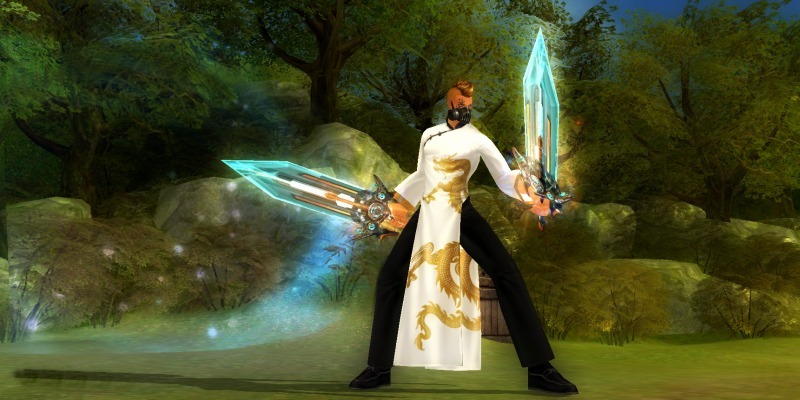 Gain FREE points toward enhancing your gear simply by logging in! 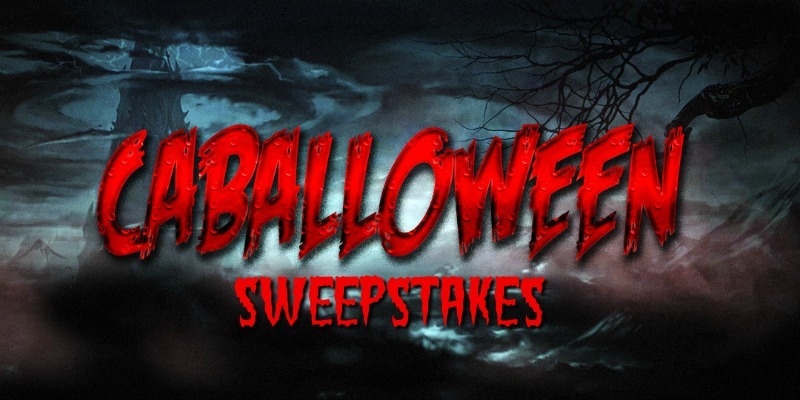 Are you ready for the sweepstakes…? Binding Stones of All Kinds: 25% Off! Are you ready to trade your awesome items? CABLOG: Nevareth is safe with you, Champion! The Arena has revealed worthy heroes across the land. A band of mercenaries is making its way into the Item Shop! Get ready for the summer sale! Beat the heat wave in style! You have been working hard and we know it! CABLOG: Let the CABAL games begin! The ARENA is waiting for you! A Zombie Apocalypse arrives in Nevareth! No need to run for your life, zombify yourself! CABAL CUP Shop proves that style is the winning goal! Be prepared to cheer with YOUR team colors! Extra Character Slots, Extra Fun! Bring more characters to your adventure with the Character Slot Opener! Lost entries have been restored. Next BIG event is coming up soon and we can’t wait to share it with you! Our team is aware of the issue and is working on resolving it promptly. 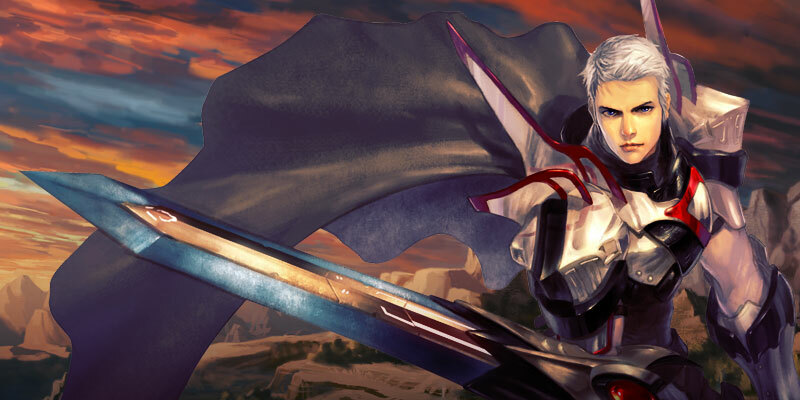 Ruler of Night Will Rule Nevareth! Discount for all Premium Services, per your request! Find out if your guild made the cut and follow directions to submit your emblem! Aizhan Dress Box is here! Don’t be fooled by this angel face, Aizhan Face is now available! Celebrate the holiday with a +300% bonus! CABLOG: We are back and better than ever! 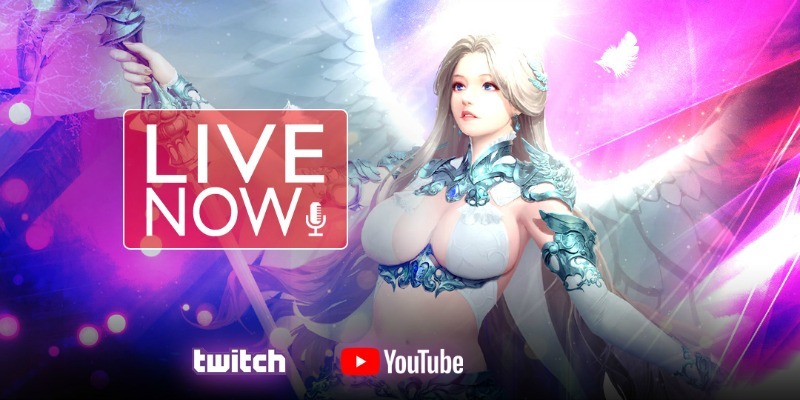 We are back on Twitch! 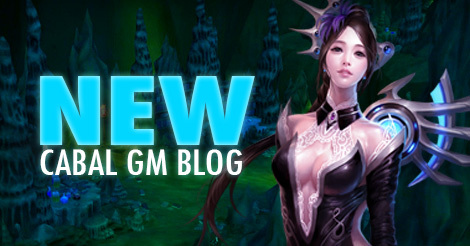 Follow GM Luna, GM Haliax, GM Agnes and GM Moon’s adventures! Many Faces Chaos Box is coming to the shop! Because some battles are worth fighting with style. 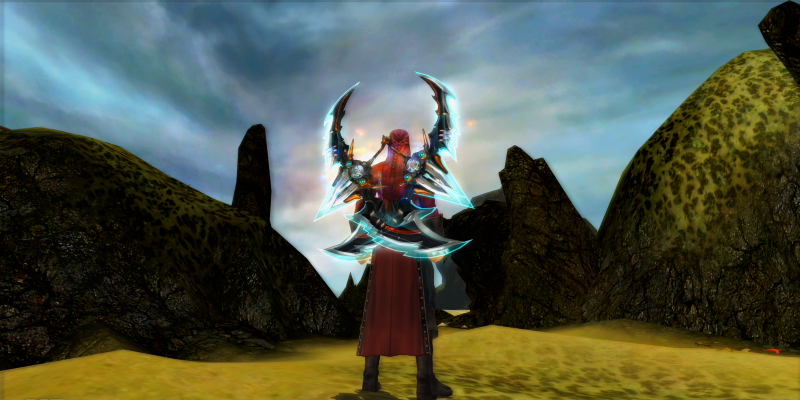 Armor, Weapons, Accessories… Yul has it all for you! Now is the time to use those saved cores and score big! 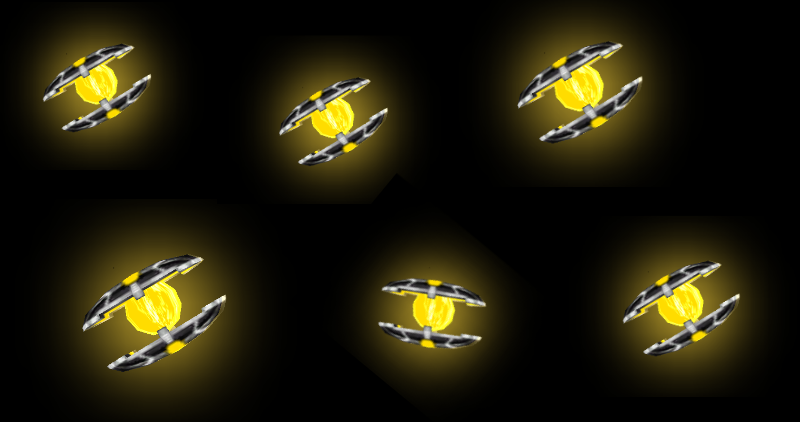 Even More Item Shop Revamping: Astral Boards! 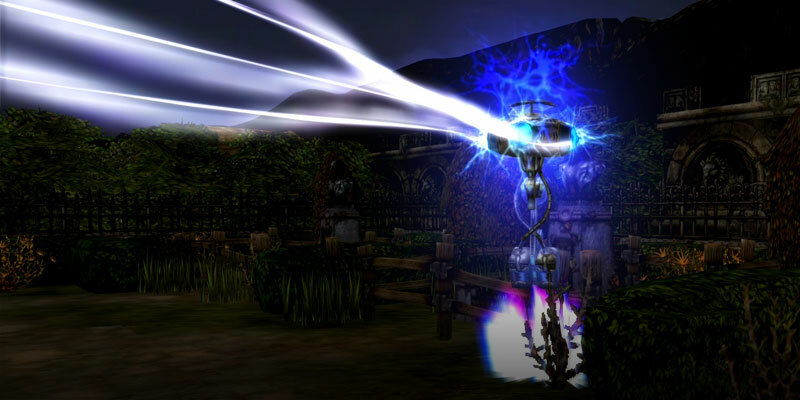 We are revising more items to help you roam throughout Nevareth! Are you an Honorable Warrior? Reset an Honor Medal slot. From Captain to Hero, this is for you! 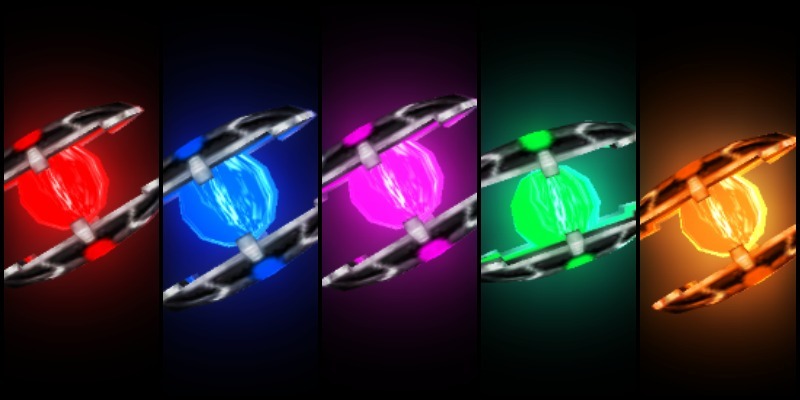 CABLOG: Show your true powers! Your effort will be rewarded, hero. 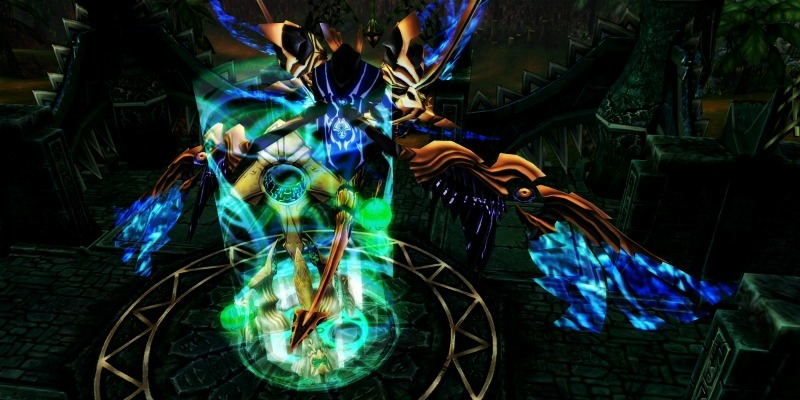 Fill those empty extra slots with these amazing Runes! Yekaterina is waiting for you! Item Shop is undergoing some renovations, and Yekaterina is very happy! It is your time to defeat the dark forces surrounding Nevareth while you explore the new adventures that Episode XIX has for you! Monsters have invaded the Forest of Nevareth, protect the Forest slaying the intruders. Dr. Mazel awaits your challenge! 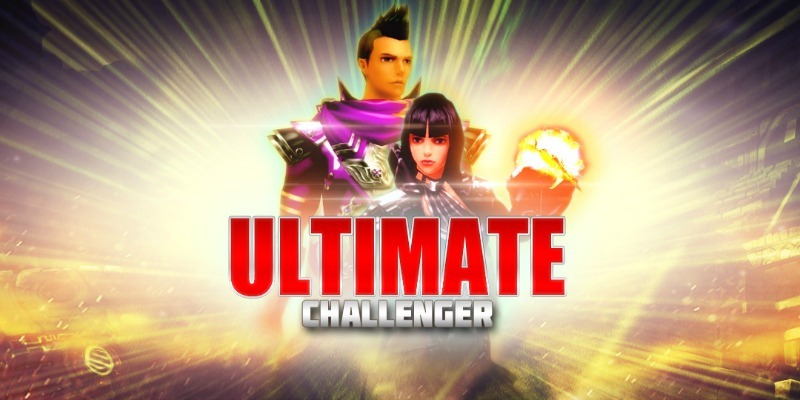 The time has come to create the ultimate Superhero movie for your guild! 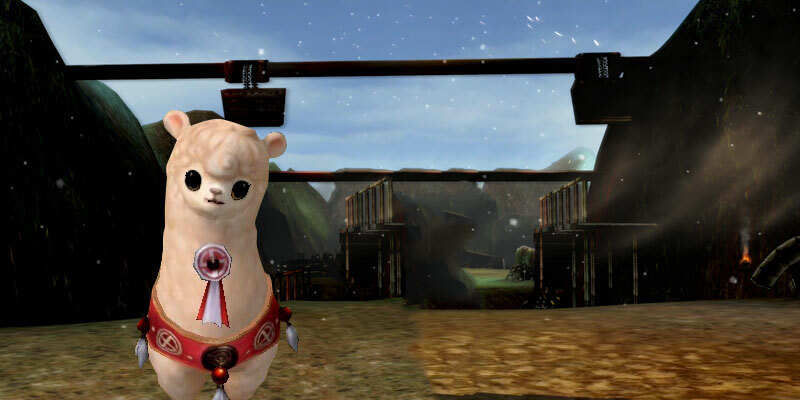 Win prizes and show the world why your guild will save Nevareth! Time for some worry-free upgrades! Bring your little furry friend along and defeat monsters all over Nevareth. BINGO must come to an end, but the fun goes on! CABLOG: March’s madness is not over yet! And a not-so-foolish April ahead! Enjoy these exclusive offers along with the eggstra bonus ;)! Behind every strong hero, there is a forceful gear. Fill your board to success! New event, new rewards, new GM?!? Pet Untrain Kit on Sale! It’s time for your loyal companion to learn new skills! 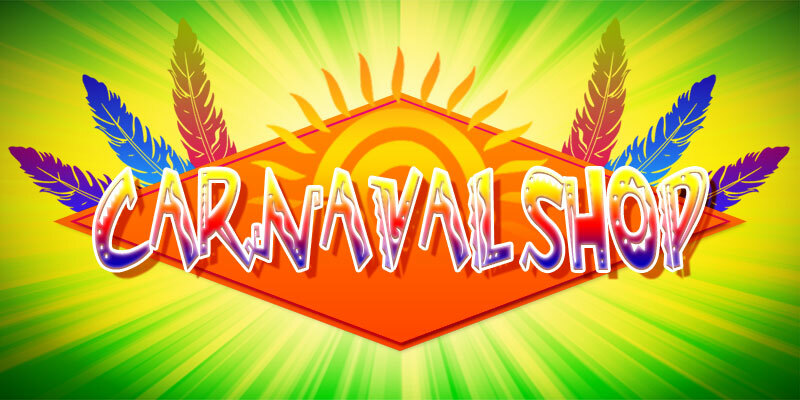 The highly anticipated event has made its way back to Nevareth! Heroes of Nevareth… Unite! A big event is coming soon! Our development team is working to get this issues fixed, we apologize for any inconvenience this may have caused you. Battle Style Change Kit makes it to the shop! 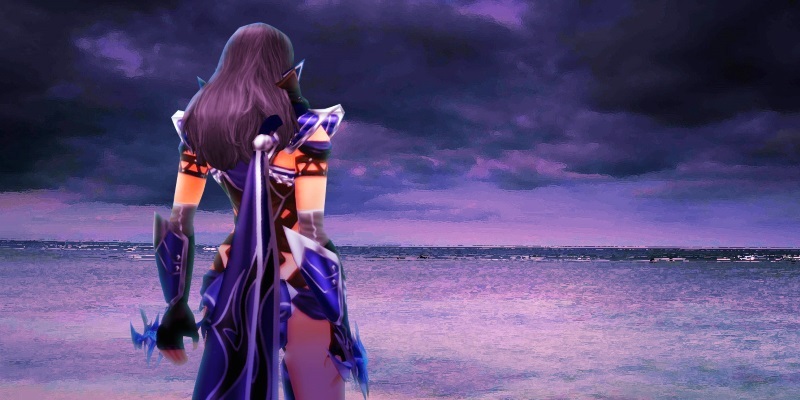 If you had a chance to change your Battle Style… Would you do it? CABLOG: Honor & Glory, Valentine’s and More! Embrace your journey to become the best Hero in Nevareth! 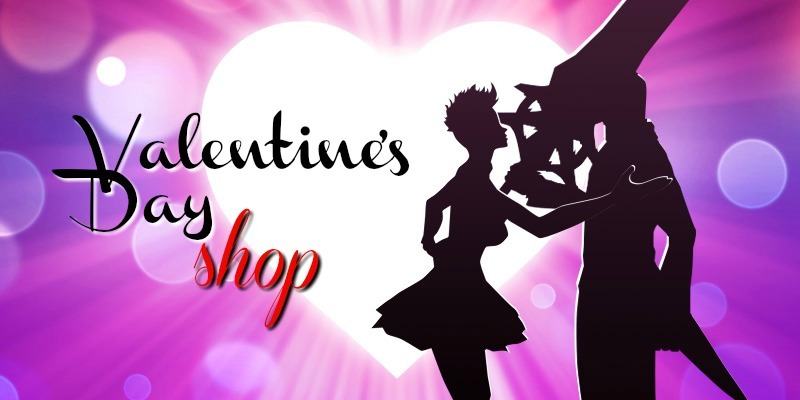 Treat yourself to something sweet and lovely from our Item Shop! Bounty Hunter Box is here! Step up your game as a bounty hunter! Rest assured, that we are working on having both of these issues fixed as soon as possible. Here to stay: New Item Shop additions! You can now purchase Honor Medal Chest and Pet Sleeping Kit(Covenant)! Join the update adventure featuring a +300% server bonus, an opportunity to exchange Tokens for gear, and receive even more rewards for leveling up! 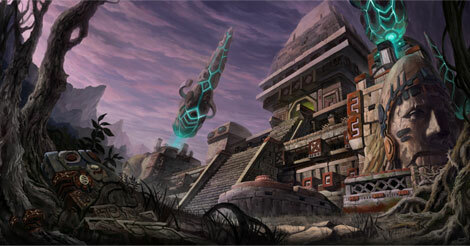 The winds of change are here and Nevareth will never be the same as you embark on the upcoming Episode XVIII update! This iconic costume is infused with darkness and beauty! 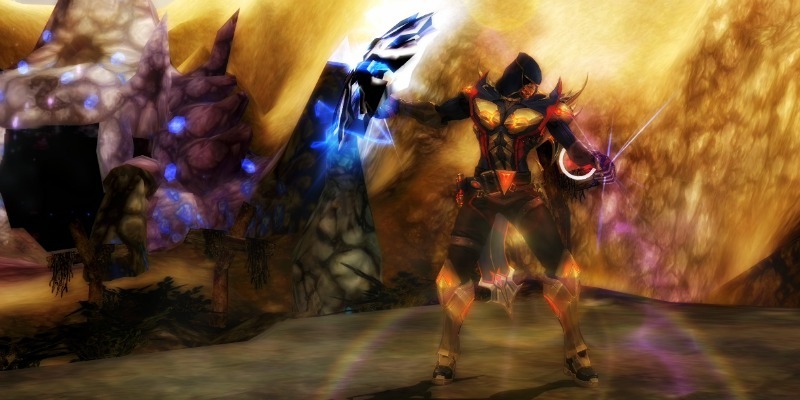 Complete the look with Archfiend Helmet for a truly powerful presence. 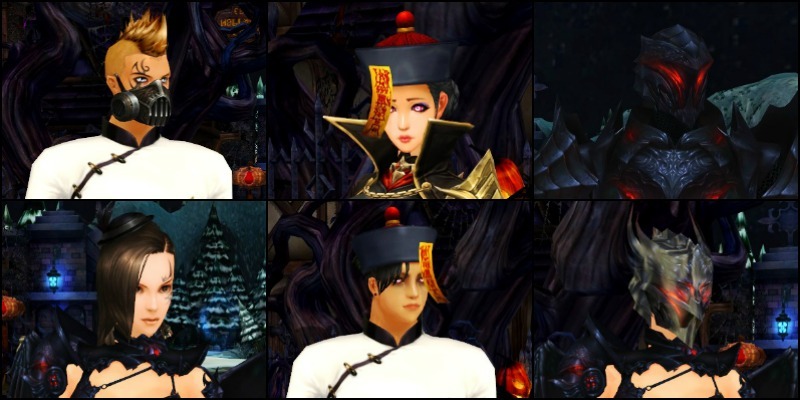 The Jiangshi Costume and Jiangshi Hat adds a dose folklore and mystery to a hero’s attire and promises to make you stand out! Ongoing event, resolutions, discounts, and more! Enjoy a 25% discount on Blessing Beads (Plus & Warehouse) and Chaos Box - Meritorious Medal Evaluation Order! Mission War Channels Issue Fixed! Bonus event extended, and we’ve added WEXP! We are aware of the issue and are working with the development to correct it. Item Shop: Presents Lv. 1 and 2! Available in singles and packs of five! 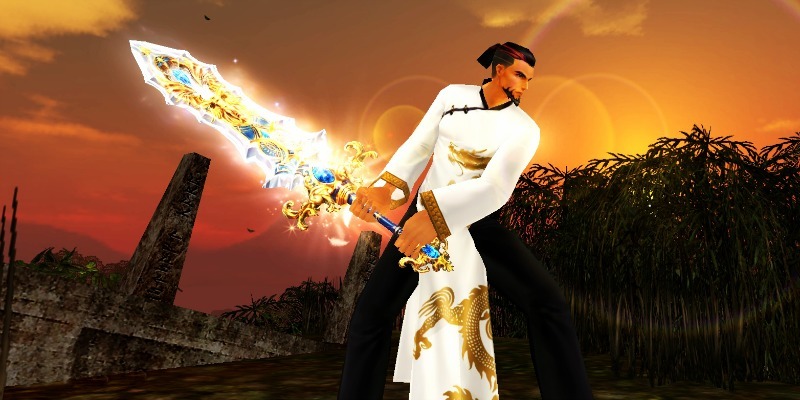 Imperial Dress & Golden Dragon weapon skins return! More chances to win GM Gifts! 20% Discount until December 20! Spend the Holidays with our staff and win prizes! Celebrate the holidays the CABAL way! Save on popular items and services now! Heading to massive bonus and savings! Celebrate with us Nov 22nd - Dec 3rd! 10% off regular price until November 20th! You asked for it, now enjoy the discounts! Pet Untrain Kit Option is Back! Teach your best friend a new skill! Cheer as we near the end of the year! Gain DP to Enter Our Giveaway! 20 winners will be selected! CABLOG: ‘Tis the Season of CABALLOWEEN! 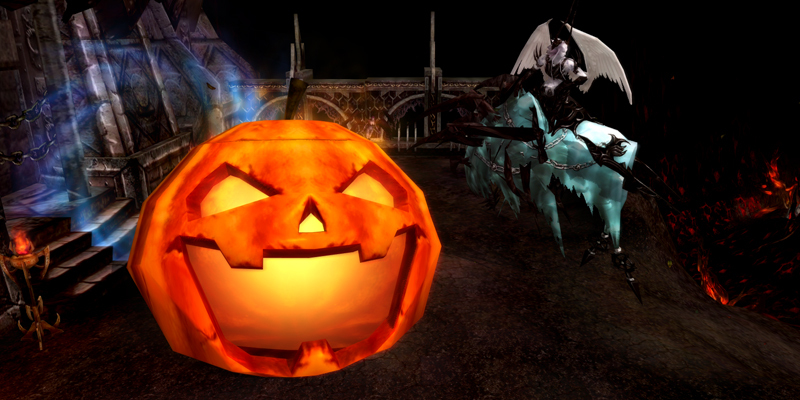 Dive in a frightful season filled with lanterns, Divine items, costumes and much more. Halloween Presents: The Archfiend Box! Get it before October 17th! CABLOG: Heroes Beware!..It’s time for a scare! The month of October is filled with spooktacular events. Don’t pass up on 20% off! 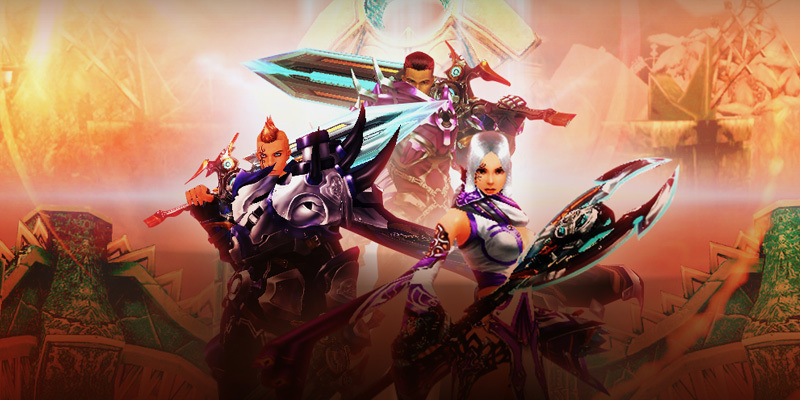 Sharpen your swords and reinforce your gear, Force Gunner Part 2 is here! Newly added to the Item Shop! 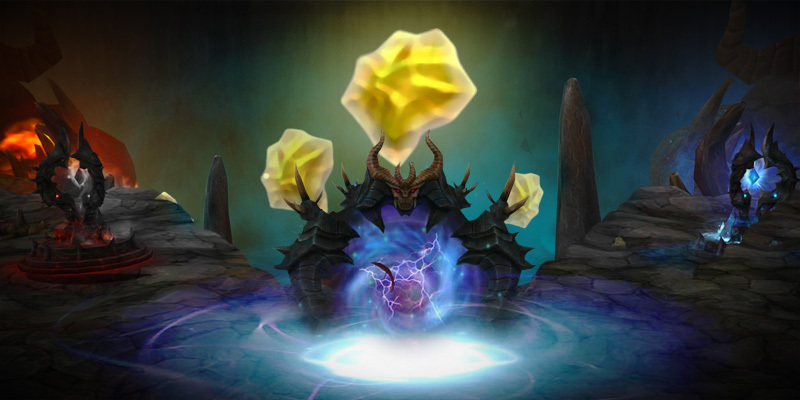 New defense dungeon offers bonus Fragment of Divine Cores! Emojis Are Back: Express Yourself! Give your adventures a bright new face with the help of Arionell, Aizhan and Skaild! Follow and comment for a chance to win! Become stronger with Free upgrade points, new gear, zombie looks and much more! 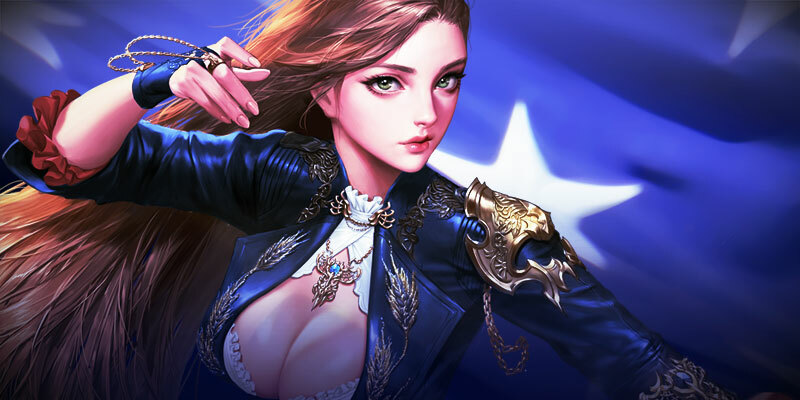 Boost your stats with Yul’s latest event! Give your character the name it deserves! Gain FREE points towards enhancing your gear simply by logging in! [EXTENDED] Deal of the Week: Arionell at 30% Off! Hurry, the promotion ends September 1st! Bonuses and a big surprise await you inside! Exchange them for Scrolls, Epaulets, or other items! Extra Day in +400% Bonus! As a thank you for your patience last week! The CABLOG: CABALIVERSARY Celebration Calls! Can you guess what time it is? Anniversary Chest Lv. 1 Now Available! Each has a chance of giving you an Anniversary Charm! 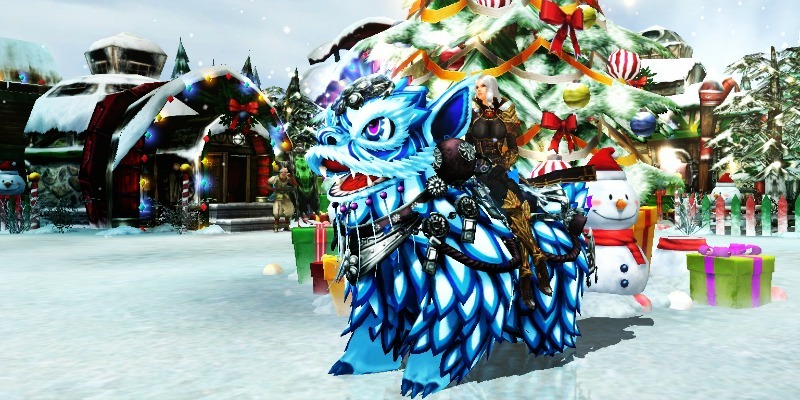 30% Off on Pet Change Kits, PLUS Ruler of Night is Back! Hurry, the promotion ends August 1st! July brings out the best and worst of fashion! Expand your warehouse at a discount! Whose costume is the ugliest of them all? Astral Board 50% Off Sale! Now is the perfect time to roam Nevareth in style! The Return of the Genie Lamp! Grab your favorite items with our exclusive Genie Lamp! 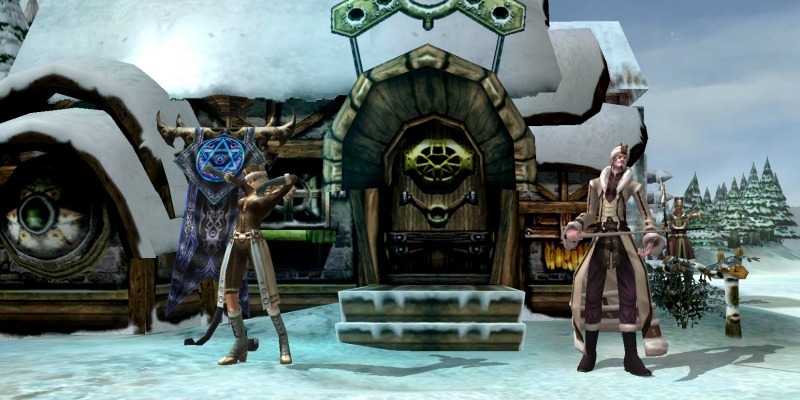 Monster hunting, Genie Lamps and more await you in CABAL! Happy 4th of July: 300% Bonus! After family time is up, head on over and celebrate with us! 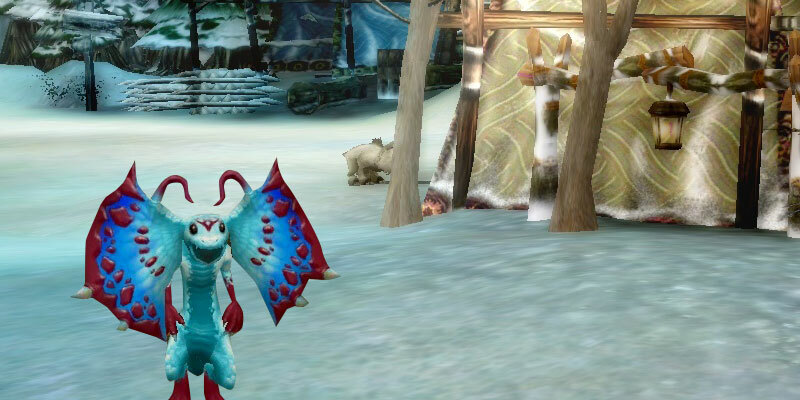 They’ve spawned in Bloody Ice and Senillinea, now you must defend! Grab the ultimate upgrade protection with a major discount! Item Shop: Upgrade Section Rehaul! We are adding new items for your convenience! Plus, find out who got to level 200 first! 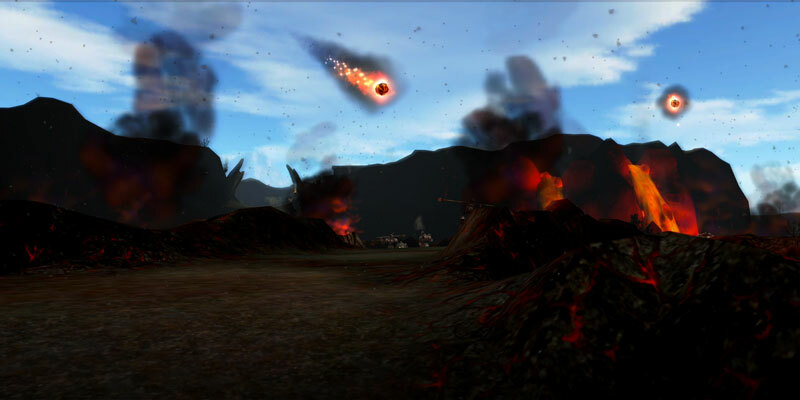 The journey through Nevareth is unforgiving, so make sure you’re prepared! The finest costumes in CABAL for our brand new class! The Force Gunner Has Arrived! Join the many waiting to get started! 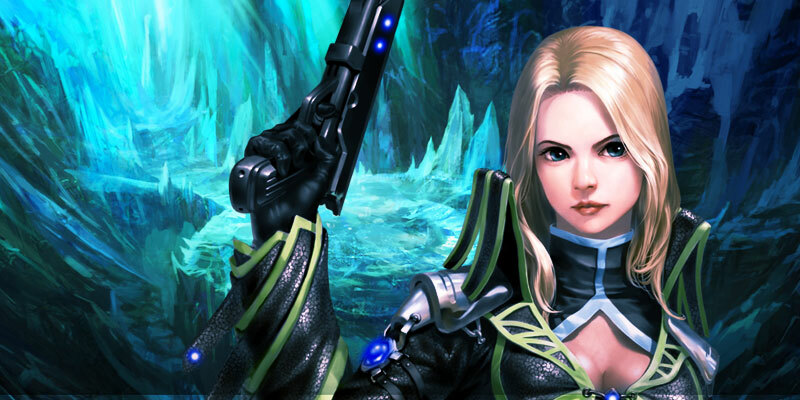 Level your new Force Gunner with added perks and be the first in your server! Shop Rotation: Costumes, costumes, & more costumes! Treat yourself to a new look and grab a hat on the way out! Grab it for a 20% discount until June 6th! Celebrate the holiday with a +200% bonus! Imperial Dragon Chest Now Available! Feel like Nevareth royalty with the Imperial Costume! Gold and Purple are the official colors of May! It’s a busy month for you AND us! Easter Shop is Now Open! Have an Eggstravaganza Easter in Nevareth! Aid your Overlord experience with our latest bonus event! It’s time to fill the board with your favorite activities! Complete tasks between two boards to earn even more rewards than ever before! Available at a 10% discount for a limited time! 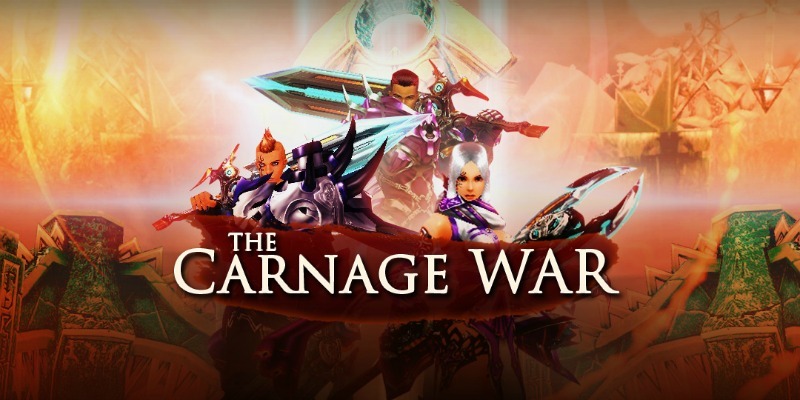 The CABLOG: Leveling to Overlord! New content, new events, new contests?! 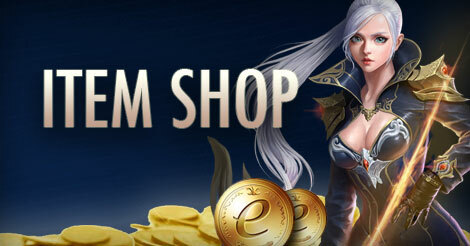 Changes to eCoin Shop beginning April 1st. Be sure to prepare accordingly to avoid any issues. The time has come to create the ultimate recruitment trailer for your guild! Win prizes and show the world why your guild is the best! 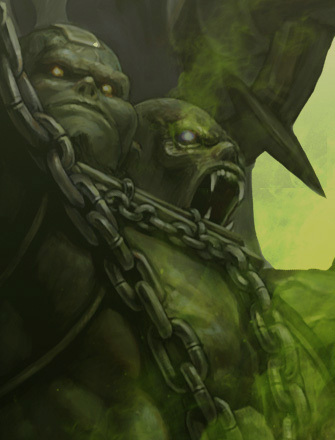 Grab the ultimate items for your Overlord journey! Tonight’s maintenance has been completed. Enjoy a price reduction for your favorite Beads! Leveling up has never been so rewarding! 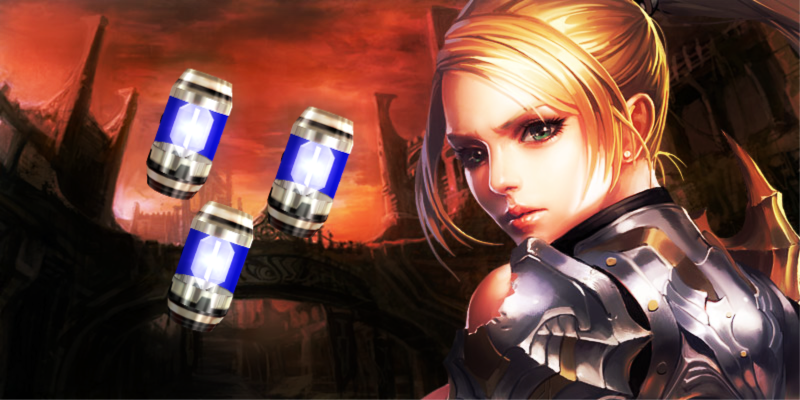 Gain powerful items to fuel your way to victory! Be the king of the jungle with our brand new masks! 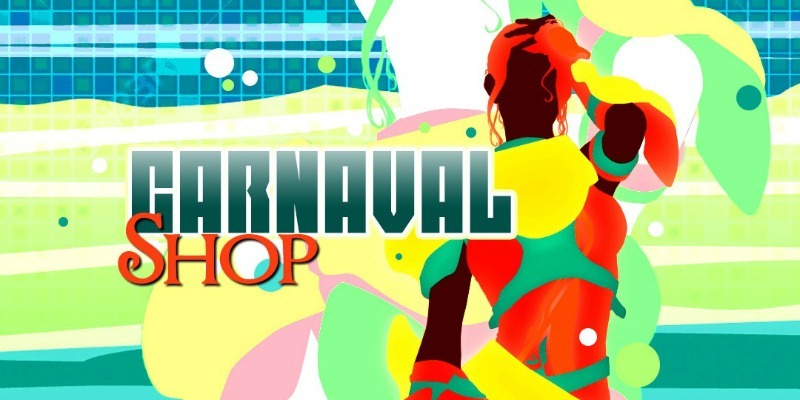 The Carnaval Shop is Open! Get massive discounts on your favorite Premium items! So many streams, all for your viewing pleasure! Bringing the biggest Brazilian festival to your computer! Major discounts: celebrate Valentine’s Day with us and reap the benefits! Stock up on Infatuation and Devotion while you can! 7th Character Slot Opener Sale! Need that last class to complete the set? Now is the perfect time! Infatuation and Devotion will envelop you! Orphidia’s Unbinding Stone Now Available! Welcome the newest permanent addition to our Item Shop! 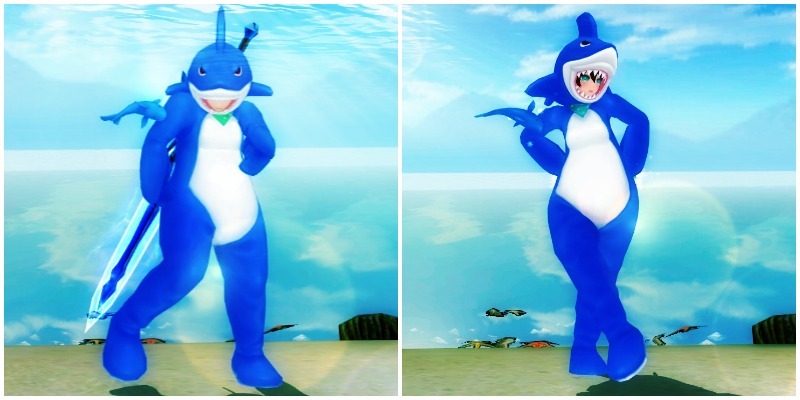 New Head Accessory: Shark Mask! 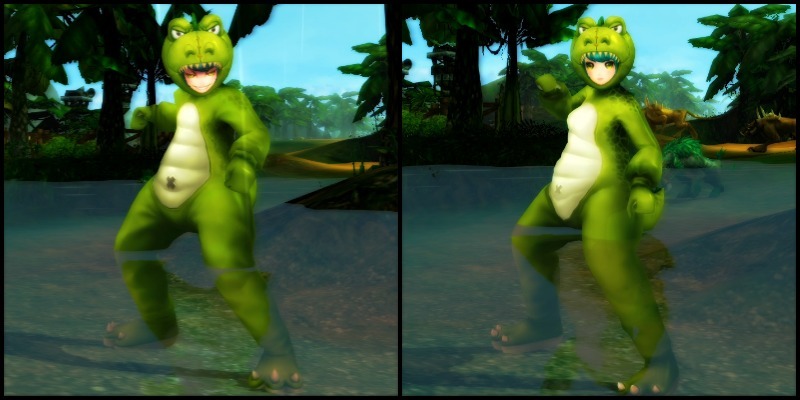 Unleash your inner adorable predator with this new costume! You’re all invited to the live wedding on Twitch! It’s Back: Open a Back to School Bag for a chance to receive a brand new costume! You’ll be seeing hearts everywhere! Join us live to see who wins big! 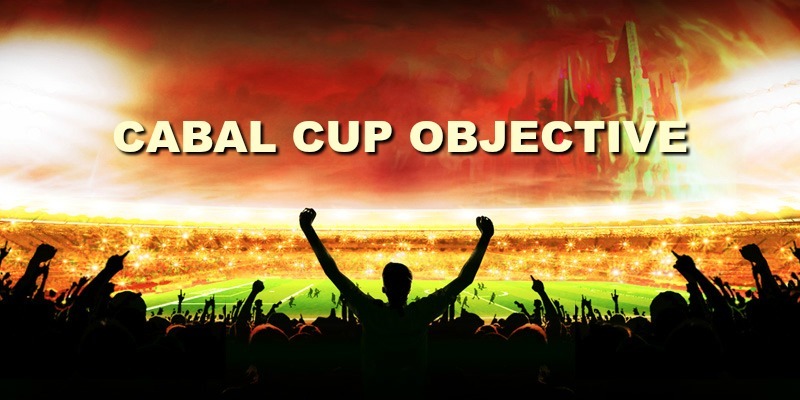 Get swept up in our latest objective-based event! 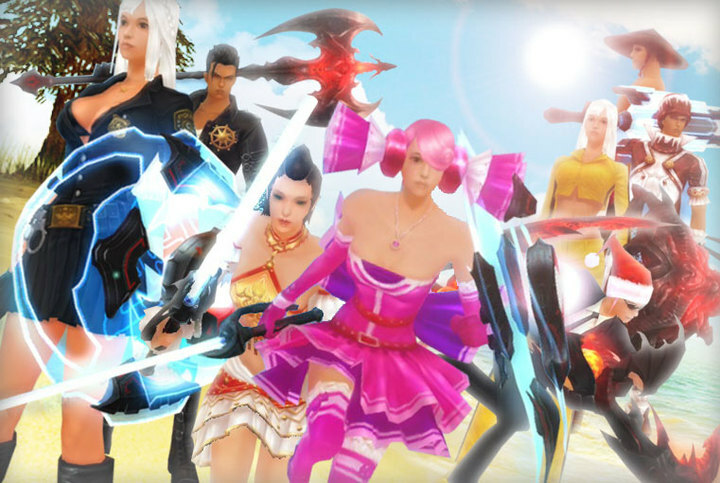 Open a Back to School Bag for a chance to receive a brand new costume! Welcome to a brand new year of CABAL! 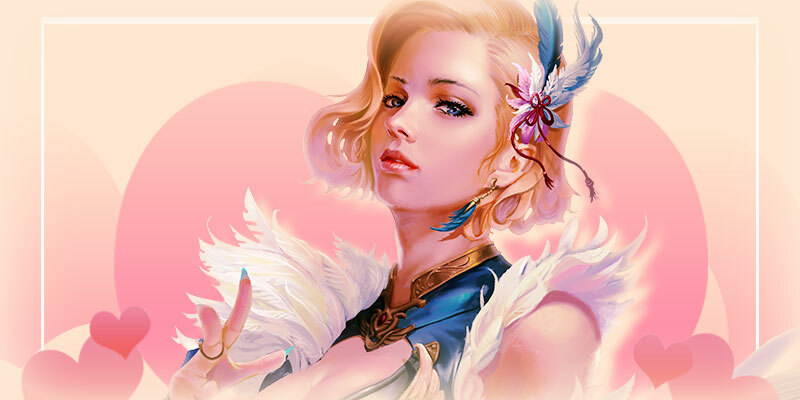 Tell us your love story for a chance to win a lovely prize and get married on Twitch by one of our Game Masters! For a limited time offer you can purchase as many Presents as you want! Enjoy the holidays with the blessing of Veradrix! Goodbye to one year, hello to another! 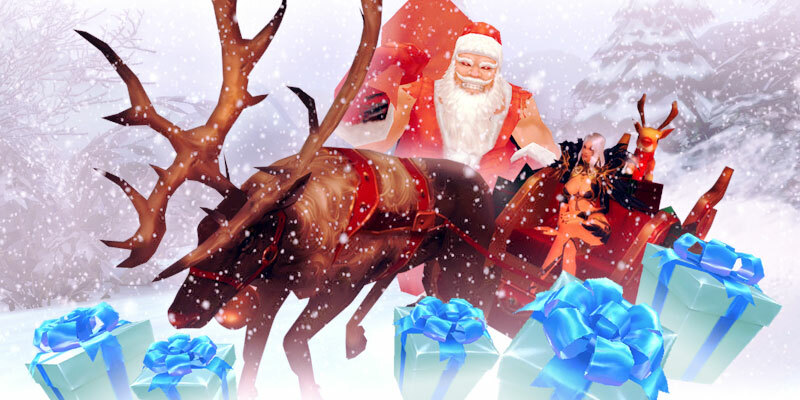 It is the season of gifts and joy, and for a limited time offer you can purchase as many Presents as you want! All participation prizes have been mailed out! Come find out if you won! 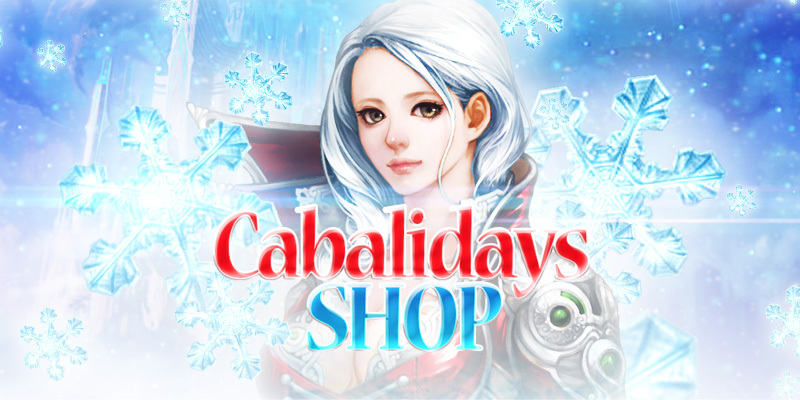 The CABALIDAYS Shop is Open! It’s the season of fun and music with great prices on all of your favorite holiday and eletronica costumes! Save up to 40% off on the most popular seasonal items! Chaos Box - Aizhan and Ruler of Night Round Two! A triumphant return for fashion awaits you in our item shop! 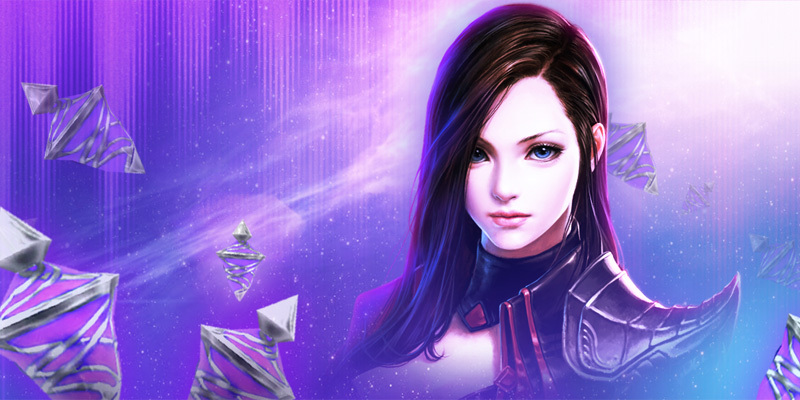 Both Aizhan and Ruler of Night Chaos Boxes are here for a limited time! 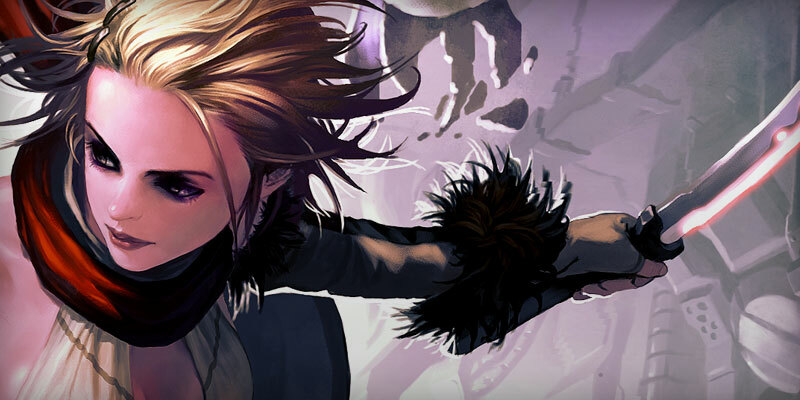 Capture the best 2016 moments in CABAL in a beautiful holiday card, PLUS a GM drop event! 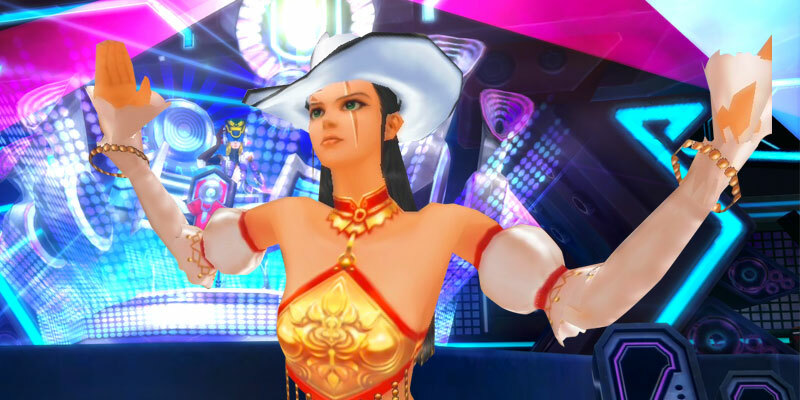 Raving is a perfectly acceptable way of celebrating the holidays, especially if they involve new costumes! 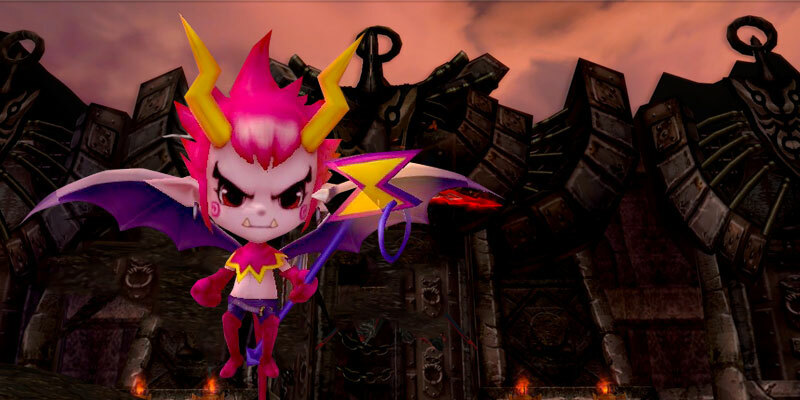 Introducing the new Chaos Box - Ruler of Night! 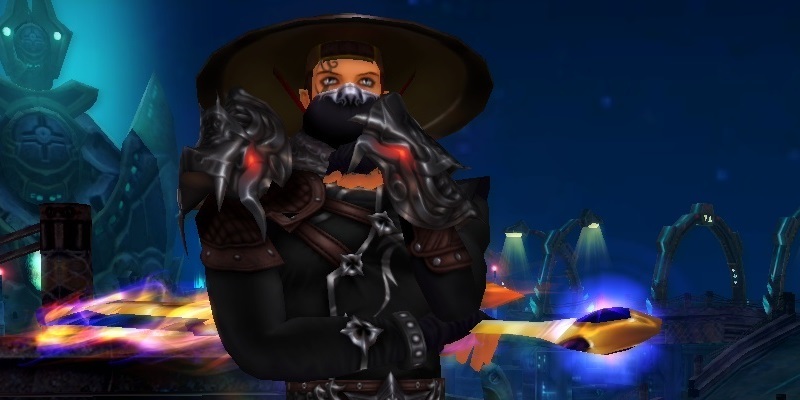 Become the new face of night-time fashion with this brand new Chaos Box! Black Friday Sales in CABAL! Pick up your favorite items from our Item Shop for up to 40% off. Hurry, the sale ends November 29th! From Astral Bikes to massive boosts, we’re making sure November isn’t ignored by its more glamorous cousin! The Battle Style Change Kit has finally arrived! 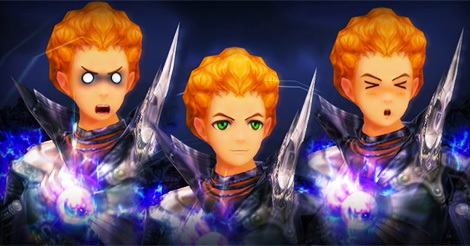 If you’ve been wanting to change from a Wizard to a Warrior, your wish has been granted with our brand new Change Kit! It's the season of giving and thanking, and we are thankful for YOU! 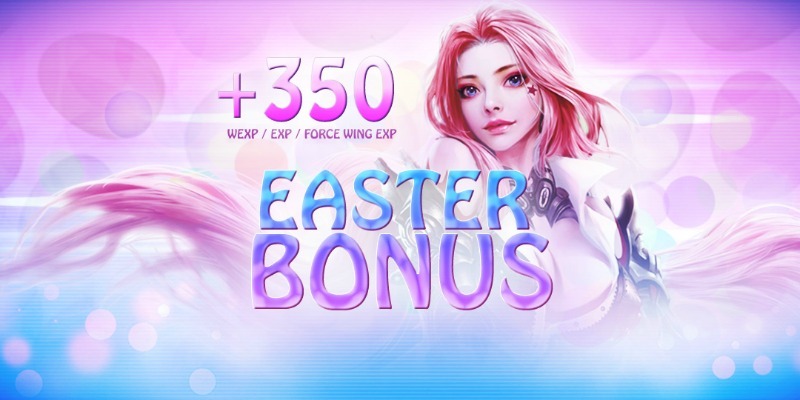 Enjoy a 300% bonus boost in EXP, AXP, Drop Rate, Pet EXP and WEXP! Crystal RW3 Bike +15 Giveaway! Make your return to Atlas and receive a powerful Astral Bike Card to aid you in your journey in Nevareth! The Many Faces of CABAL! Express yourself in a brand new way that includes Skaild and Aizhan emojis, alongside a brand new Chaos Box! Join us on as we select the Titan and Atlas winners live! Winners will receive a +1 Extreme Upgrade on the item of their choice! Upgrade your gear in preparation for new challenges ahead. 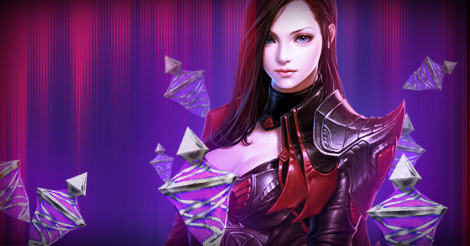 Simply log in to receive your FREE Potion of Enhancement worth 5,000 upgrade points! 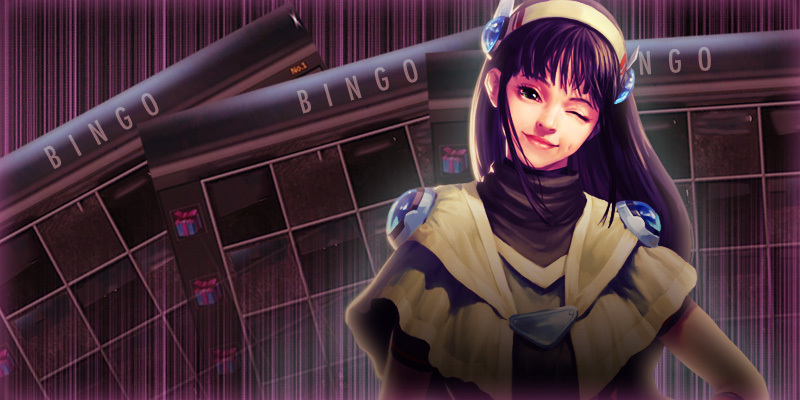 A brand new type of event is among us: the CABAL Bingo is now live! 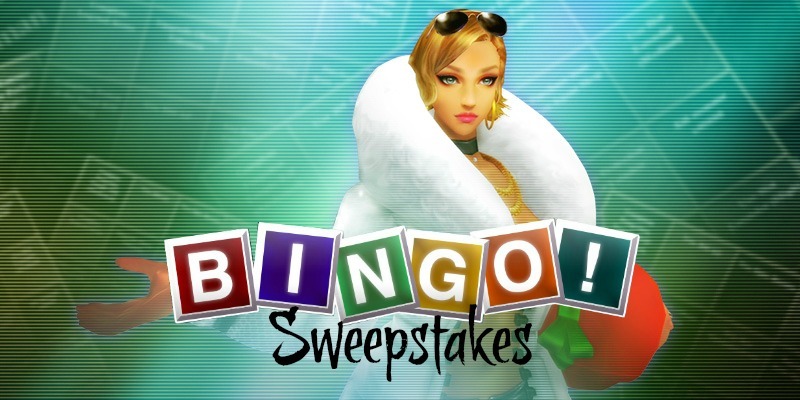 Complete tasks on the Bingo Board to gain rewards. Tonight's maintenance has been extended, and we anticipate finishing by 5:00 A.M.
November has big plans for our CABAL fans, starting with a brand new event, boosts and ways to bring you to the top! 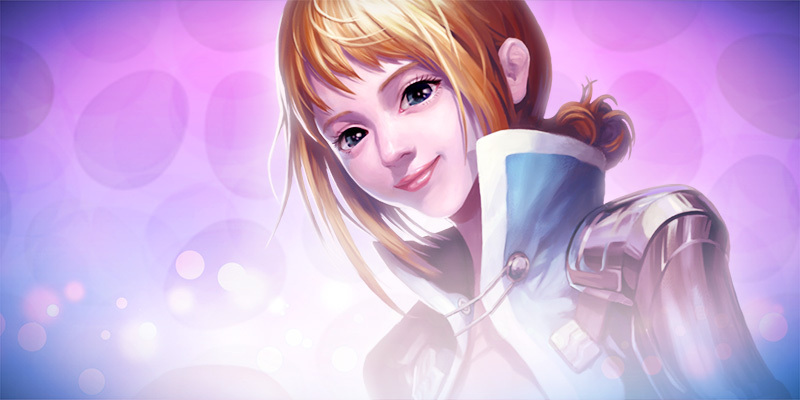 Today's maintenance has been extended, and we anticipate finishing within 3 hours. It’s time to bring class and style to Nevareth with the brand new Stripe Suit! 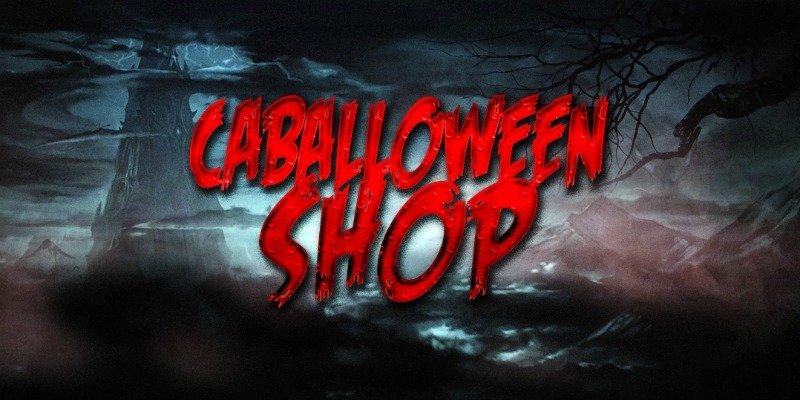 Our CABALLOWEEN celebration has only just begun, with costumes, community events and one huge Halloween Shop! 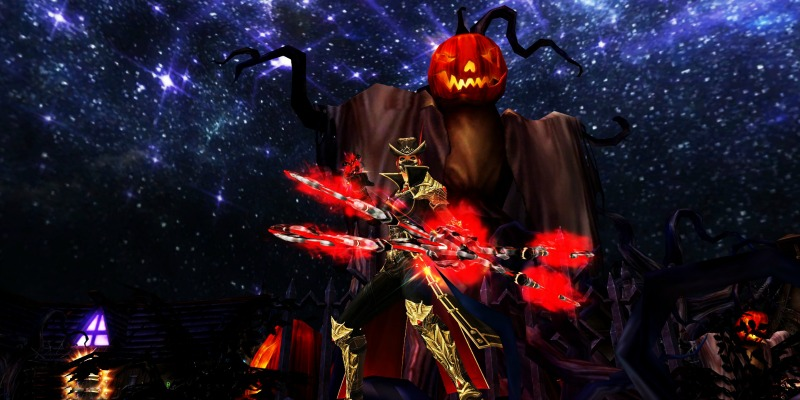 Our celebration of CABALLOWEEN doesn’t just happen in game! We want to see your creative side, so join our gif-making challenge! The Halloween Shop has arrived! It’s time for colossal savings on our brand new Halloween shop to prepare you for the ultimate costume holiday! Yul’s Formula Cards Special Promotion! 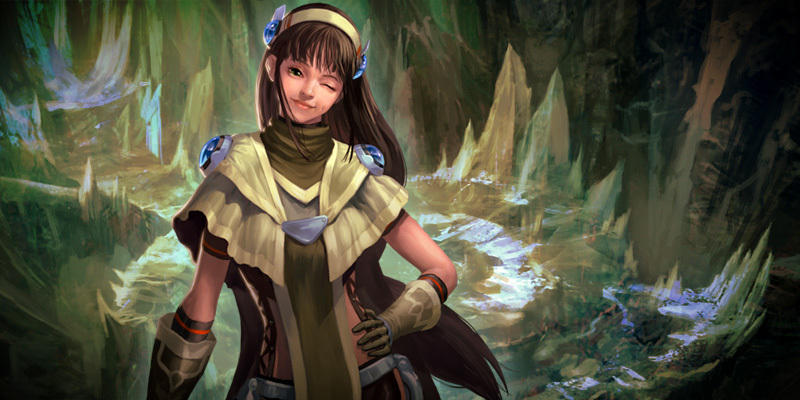 Yul is feeling extremely grateful for all you’ve done to help her, and now she’s offering her exclusive Formula Cards for you to gain higher rewards! The CABLOG: Lanterns and Franky’s and Baldus, Oh My! It’s not Halloween, it’s CABALLOWEEN, which is guaranteed to be 60% better. 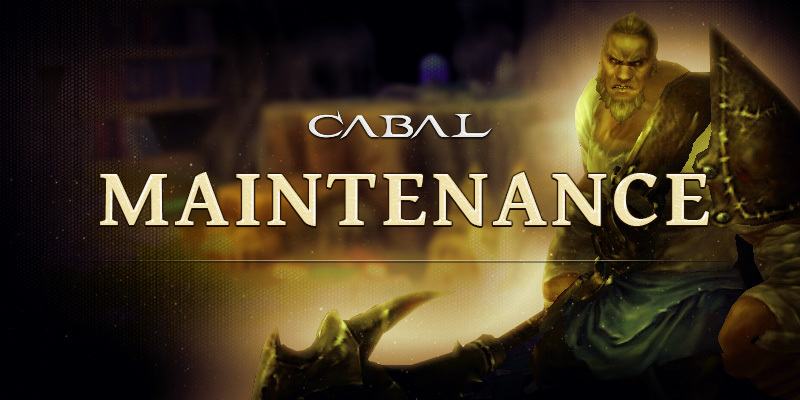 We are currently experiencing technical issues with our CABAL Online client for the Mac OS, and will be unavailable until the issues are resolved. 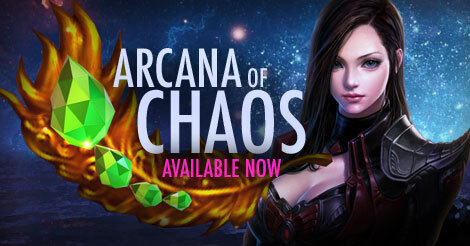 Introducing the Arcana of Chaos! This beautiful piece of jewelry will be a vital part of your gear for survival, and now it’s available for everyone! Brand New Prices for Extreme Core Pocket (Premium) and Repair Kits! There will be some changes made to the Extreme Core Pocket (Premium), including a nice price drop! Refilling Option - GoCash is now Available! GoCash is now active and North American players are once again able to redeem their GoCash codes for eCoins! The Return of the Pet Untrain Kit (Option)! For those of you wishing your favorite pet options could change without the hassle of actually switching out pets, your dreams have come true! It’s that time of year where the leaves turn red, the nights get cooler and a demonic champion from Hell makes his return. The Many Faced Box Version 2.0 has arrived! Ready for part two of The Many Faced Box? Then you’re in luck! It has finally arrived in our item shop! 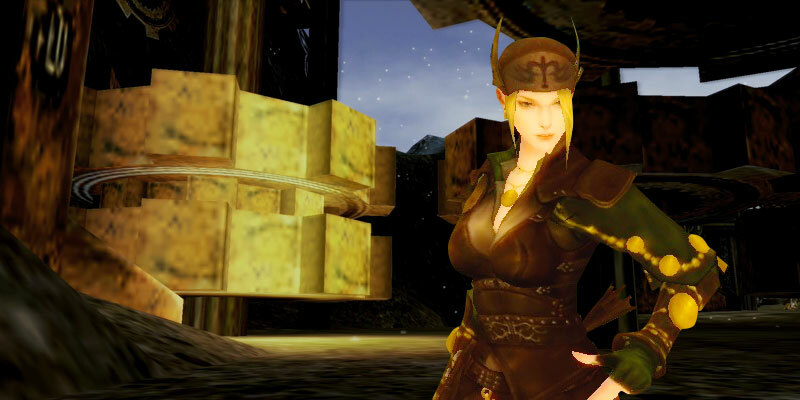 If you are seeing an error when attempting to log in, you will need to re-install CABAL Online. Tonight’s maintenance has been extended, and we anticipate finishing by 3:00 A.M. 5:00 A.M.
We apologize for any inconvenience this may cause tonight's maintenance has been extended, and we anticipate finishing within 2 hours.Thank you for your patience. We will keep you updated if anything else changes. We are currently experiencing technical issues with the payment option GoCash that will leave North American players unable to redeem their GoCash code. We are currently experiencing technical issues, but players are still able to refill through other available options. We’re smoothing out and upgrading all of our websites for your convenience, so please excuse our construction dust! The Return of the Oath of Sacrifice! After a long absence, the Oath of Sacrifice is making its way to the CABAL Item Shop for a very limited time! 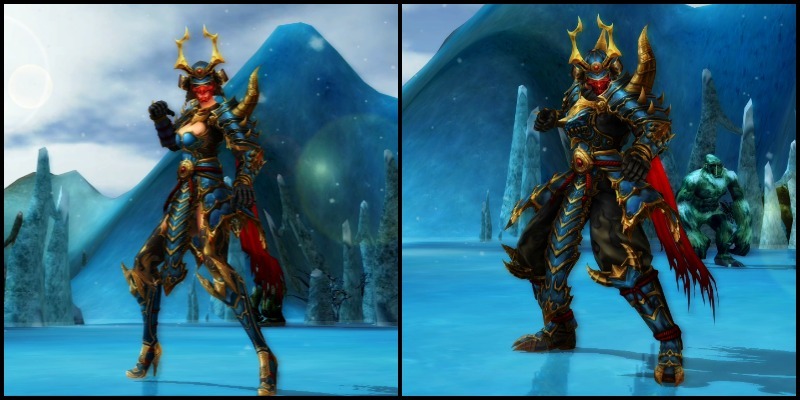 The Armor Set Gift Box is here for a limited time! The Boost of the Ages! 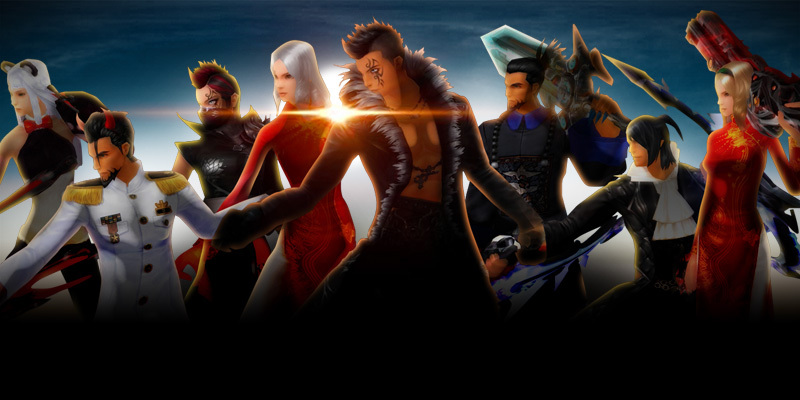 To celebrate the arrival of Fall and to get you ready for whatever challenges await you, we are offering an opportunity to gain +300% on all EXP, AXP, Skill EXP, Pet EXP earned! The CABLOG: Token for Your Thoughts? September is looking to be a promising month of events, boosts and fun! The Many Faced Box is now Available! The Many Faced Box has arrived in our item shop, and it calls to you! Beginning on September 8th, Yul’s shop will be filled with slotted weapons with Critical DMG up to +36% as well as armor with All Skill Amp +8% in both Osmium and SIGMetal! 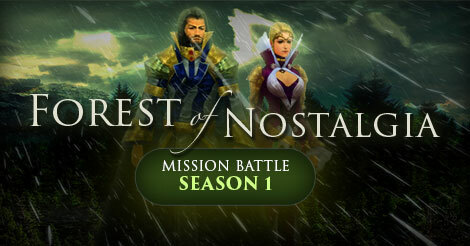 The Forest of Nostalgia Winners! 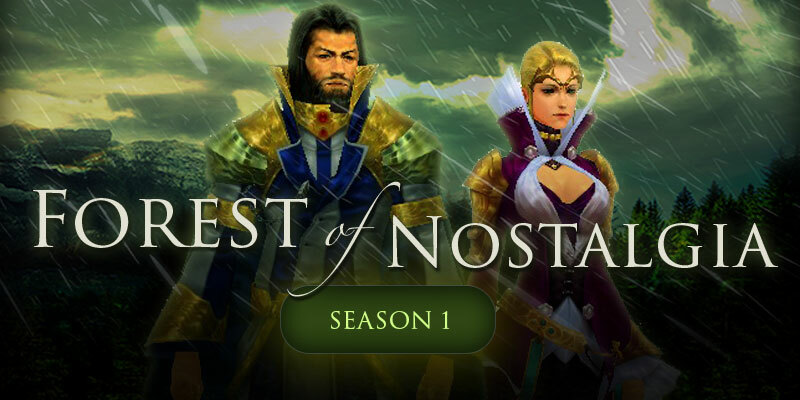 After a fierce three months of intense PvP battles, coupled with blood, sweat and tears, we are pleased to announce the end of The Forest of Nostalgia: Season 1! 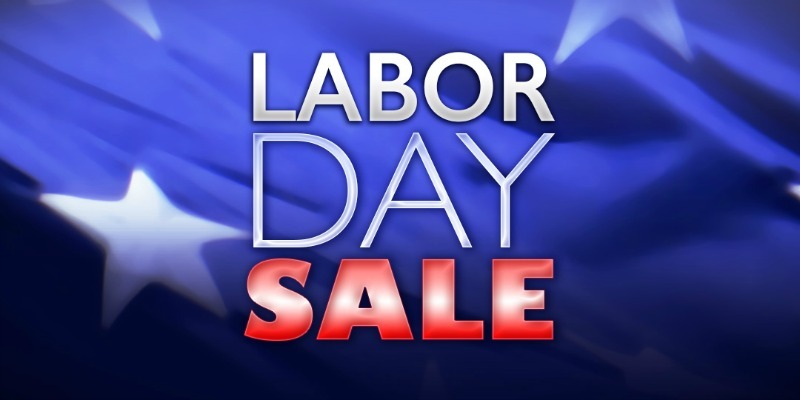 Labor Day: 20% off Bronze Medals! 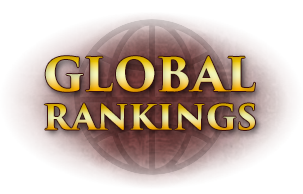 Brand New CABAL Online Global Ranking Page! You know who’s the best on your server, but have you ever wondered how you compare to the rest of the world? 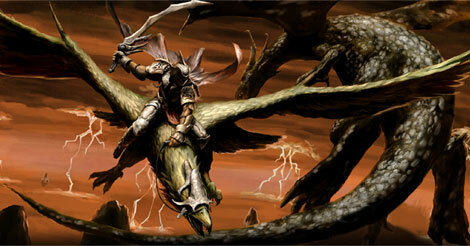 Now the option to see who truly rises in the world of Nevareth will be apparent to everyone! 300% Boost is now Active! Our 300% Weekend Bonus is now live! As a small Thank You for your patience and understanding during the technical difficulties that caused a delay in our bonus event, we will be extending this bonus an extra day! Tonight's maintenance has been extended, and we anticipate finishing within in the next two hours. 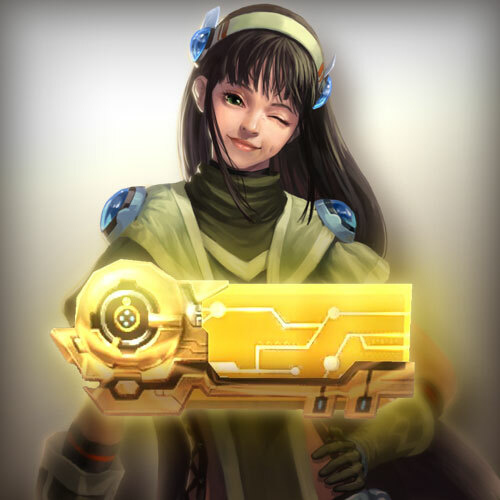 Golden Plaques Now Available with NPC Yul! CABALYMPICS: Bronze Medals Now Available! Item Shop Additions and Discounts! Many changes await you in the Item Shop. 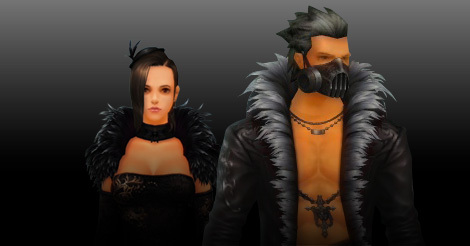 We’ve added more costumes for you to choose from including Good and Evil, Electronica Suit, Wedding Ceremony, and much, much more! A One of a Kind Premium Sale! From Diamond to Warlord, and everything in between! Check out our new look and update your bookmarks today! Starting the new season off right with log in bonuses and more! Soccer Box - Now Available in the Item Shop! Your chance has arrived! 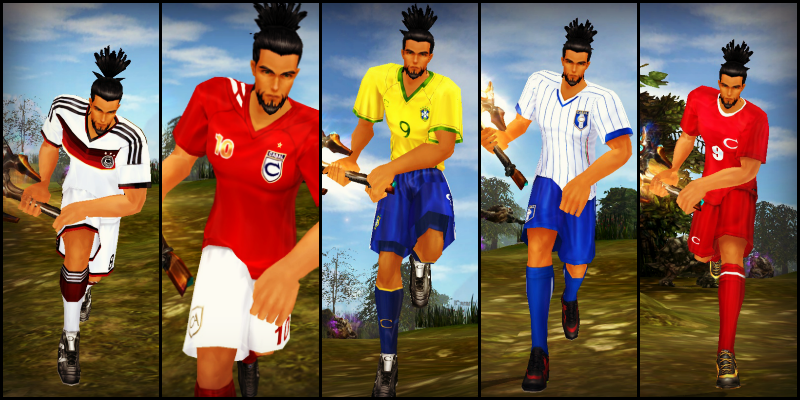 Represent your soccer team in fashion! 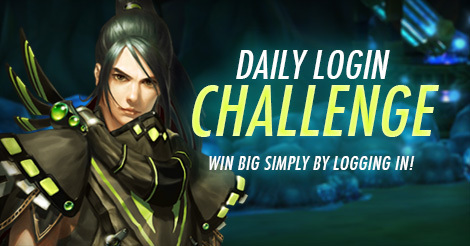 Daily Login Challenge: Win Big Simply by Logging In! Prizes improve as you accumulate daily consecutive logins! 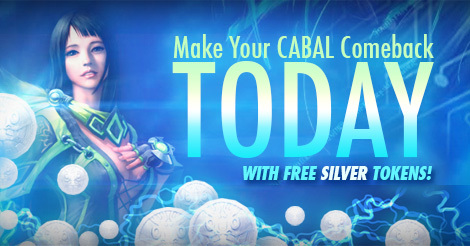 Make your Big Comeback to CABAL Online Today to Receive FREE Silver Tokens! Exchange your Silver Tokens for some epic items! 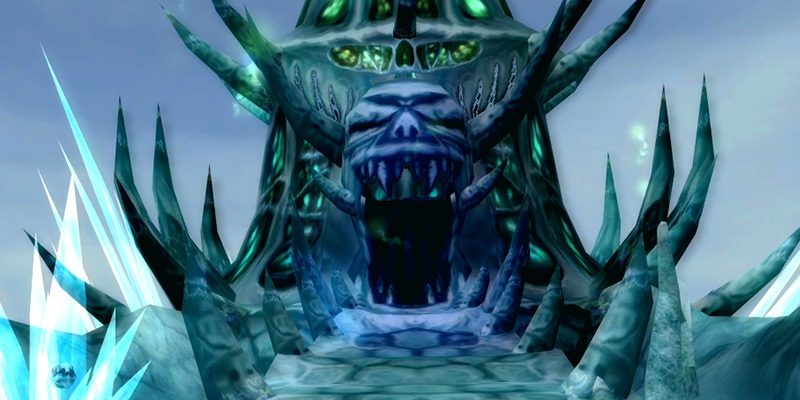 New Dungeon: Frozen Tower of Undead B3F (Part 2)! 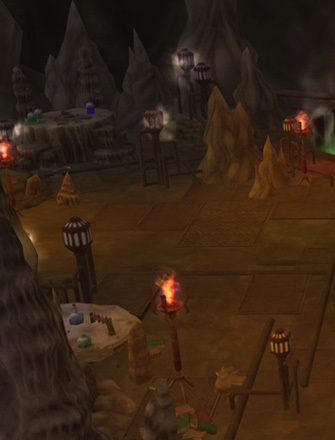 Check out CABAL Online’s latest epic dungeon-- Available NOW! Hatter Box Version 2.0 - Find it in the Item Shop Now! Includes a chance to acquire one of the new hats! We’ve updated our battle schedule and weekly participation prizes! Brand New Weapon Skins Coming Soon! But to make room, we’ll be removing Plasmium and Hellforged. Get yours today! 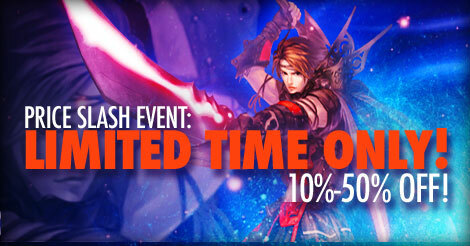 Price Slash Event: Limited Time Only! We’re chopping down Item Shop prices throughout the week! 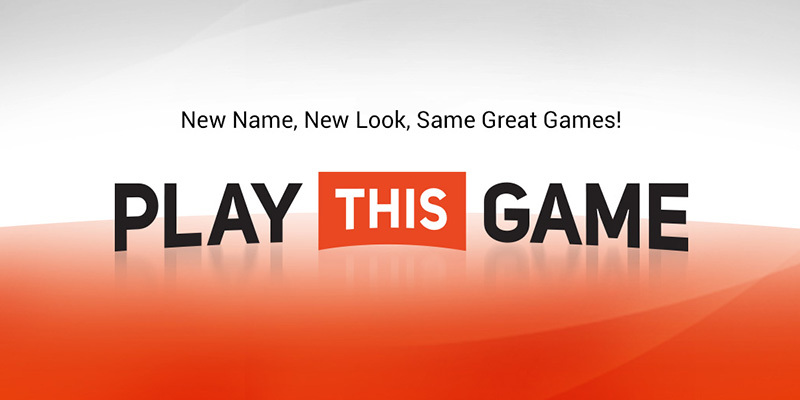 PlayThisGame: New name, new look, same great games! 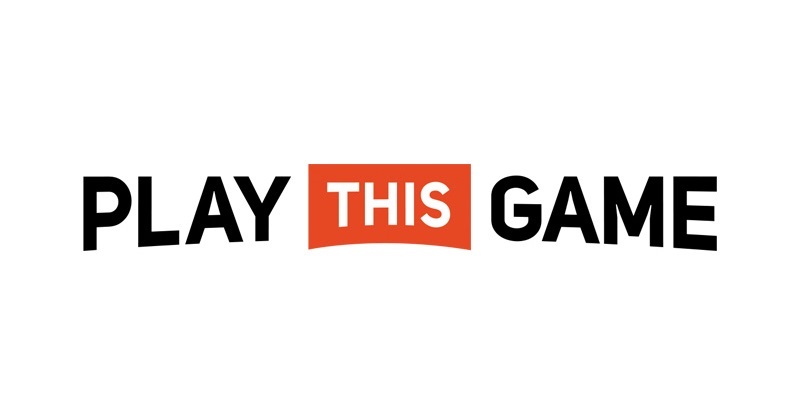 ESTgames is becoming PlayThisGame. Be sure to update your bookmarks! Hatter Box - Now Available in the Item Shop! 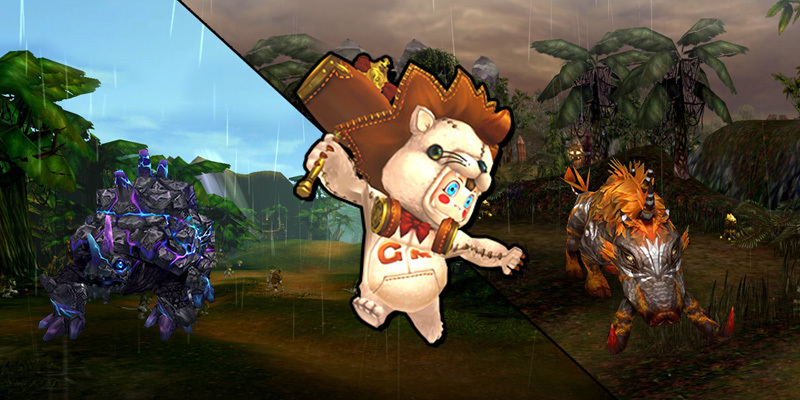 Plus, a chance to get a new helm costume: Drunken Pirate, Mergaheph, or Mechbuffalo! 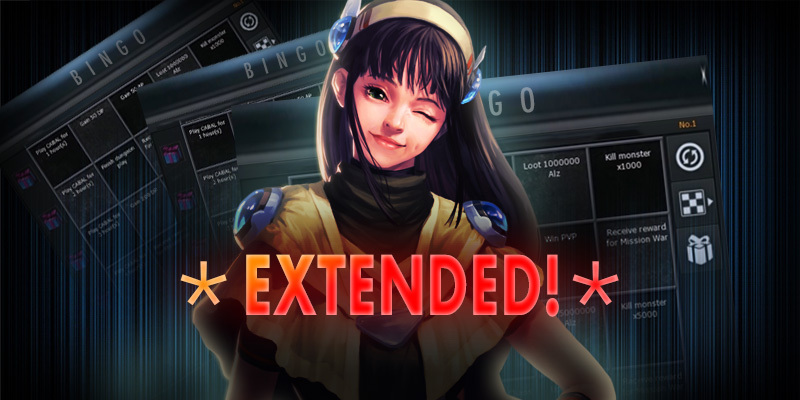 Tonight’s maintenance has been extended, and we anticipate finishing within 1 Hour. 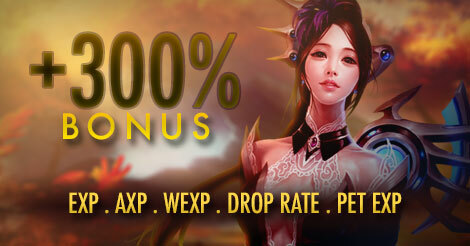 Enjoy +200% on WExp, EXP, AXP, and Drop Rate! Last Chance: Pet Untrain Kit (Option)! +10% Off! After today, they’re gone! PLUS: Extra 10% discount, today only! Pet Untrain Kits (Option) Are Back! Limited time offer ends May 23rd! Four new uniforms now available in the Item Shop! Episode XV events are here! 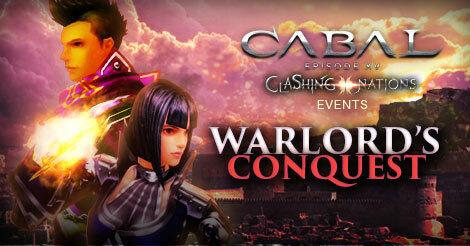 Join the chaotic fray in Clashing Nations: Warlord's Conquest. Plus, a new lower Yuan price! Bag of Mystery Now Available! Protect Bloody Ice and Green Despair! New Weapon Skins Available at the Item Shop! Say goodbye to certain weapon skins (for now) and hello to the new ones! Having trouble logging in? Details inside.. Treat yourself to some cakes! Electronica Chaos Box Now Available! Prepare for the future: Get your chaos box today! Mercenaries Available at a 20% Discount! Get your dungeon buddy today! Easter Egg Chaos Box Now Available! Easter Egg can contain up to 100 Million Alz! Spring Bake Sale in Green Despair! Help Yul collect Sugar Cubes and Eggs! The Atlas Comic Strip Winners Are Here! Vote for the Best Atlas Comic Strips! 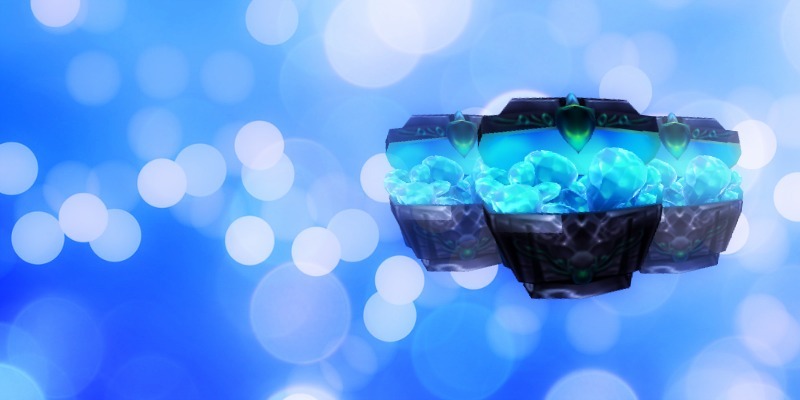 Force Gem and Potion of Luck Chaos Boxes Now Available! 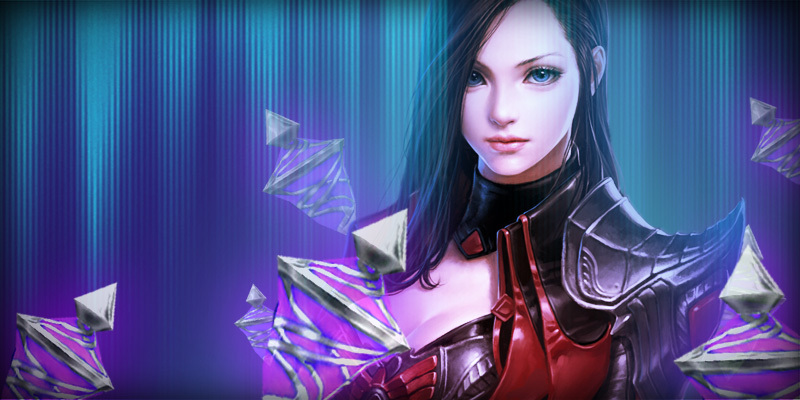 Receive up to 500 million Alz or 1,000 Force Gems! 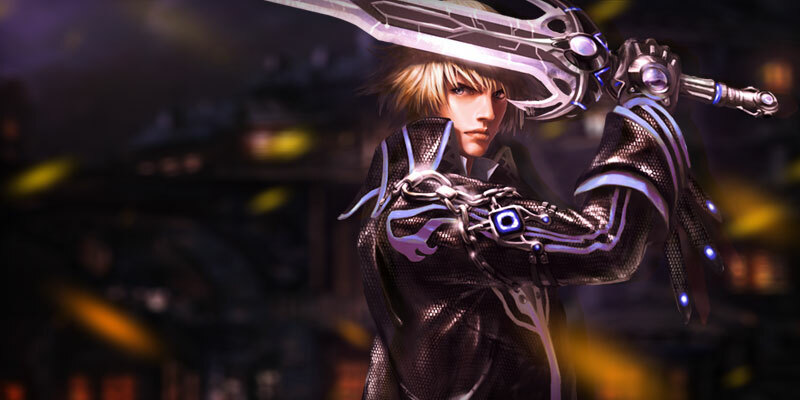 Will you be the first to harness the power of the Saint’s Forcecalibur? Bonuses PLUS Free 3,000 Upgrade Points! Celebrate St. Patrick’s with us! Item Shop: New Costume Subcategories! We’ve added 21 weapon skins and 20 hats! Share your Atlas adventures with us! Enjoy New, Lower Prices in Platinum and Diamond Services! Plus 10% off all Blessing Beads! Pet Untrain Kit (Option) Chaos Box! Tonight’s maintenance has been extended, and we anticipate finishing within 30min. Your chance to get the brand-new pet Franky is here! Experience a new beginning with exclusive events! Starter, Consumable, and Upgrade Bundles Now Available! Kickstart your CABAL experience with all-new bundles! 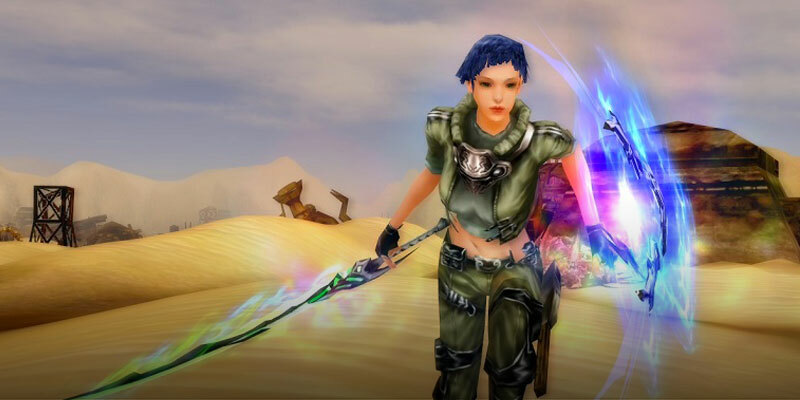 CABAL Online is Now Available on Steam! 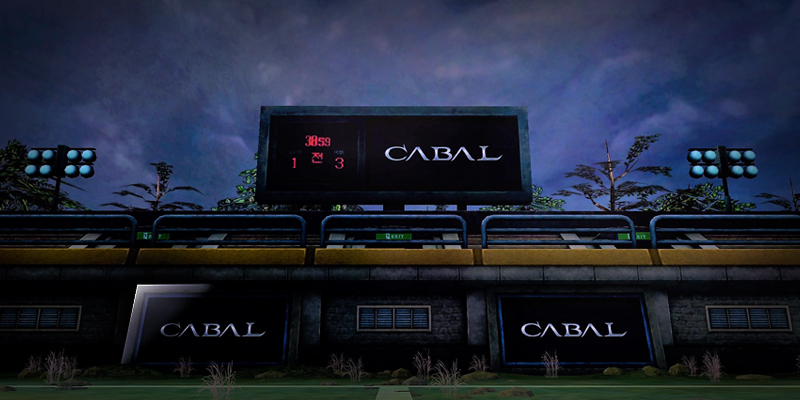 CABAL arrives on Valve’s digital distribution platform - details inside! Find out if your guild made the cut! 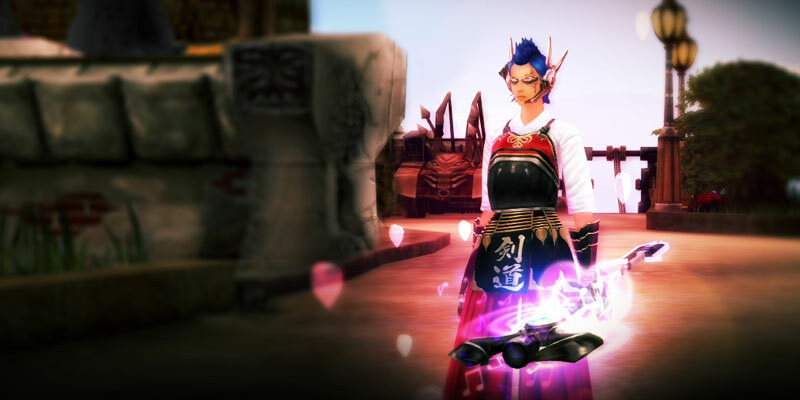 Valentine’s Day Sale: Enchant Safeguard Highest is Back! Including 10% and 20% discounts on other items! 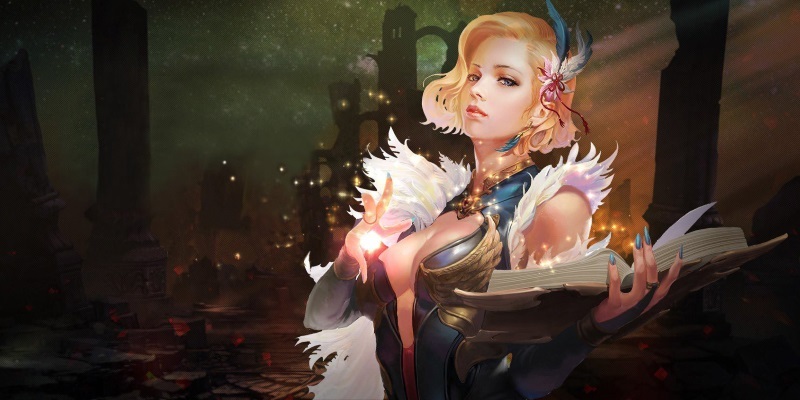 Love and Lust: Craft Your Destiny! Collect L-O-V-E letters and Formula Cards to craft your own boxes with loot! Level Up & Earn Rewards! Reach level goals and earn free reward packages! Limited Time Offer: Extreme Core Pocket Bundles! Get your hands on a 4-pack or a 10-pack! Check out the new and improved Item Shop! Chaos Box - Chloe’s Token! Open a Chloe’s Token Chaos Box for a chance to receive up to 10 tokens! Return of the Guild Video Event! This is your chance for your guild to win an emblem! JUST IN: 100% Bonus Until January 24th! Enjoy drop rate, WEXP, and EXP bonuses! We apologize for the inconvenience and we thank you for your patience! 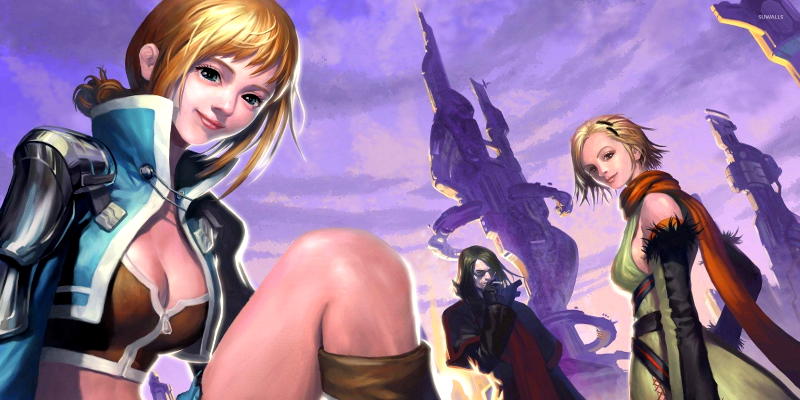 CABAL Online Mac OS X Version Now Available!! More details and client download here! Find out if you made the cut! Just In: 20% off all Premium Services! Plus 40-100% Blessing Bead Plus coupon when you purchase! PVP Battle Arena Back Online! Updates, fixes, and Art of War: Conquest event extension details inside! Event Presents and seasonal items available! Available in single and 5-pack! More options in Blessing Beads and Force Gem Packages! 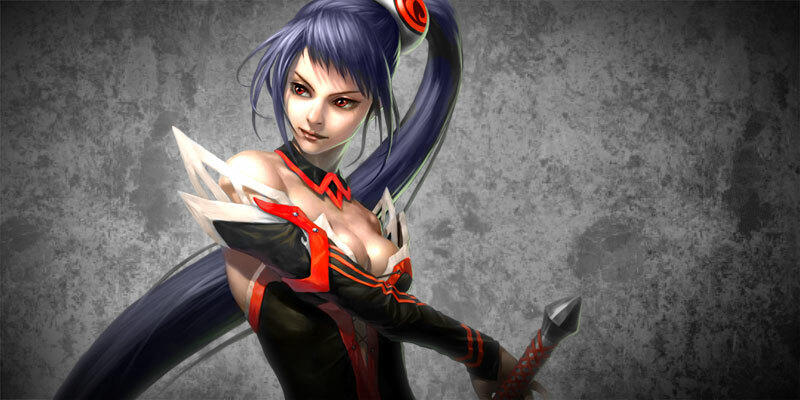 Art of War: Conquest event to be extended upon re-opening. 10%-50% in discounts plus new items! 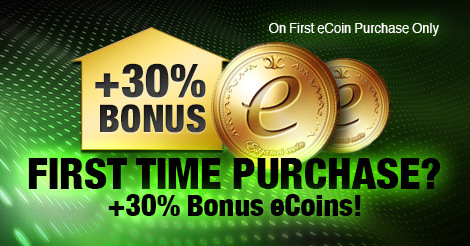 +30% Bonus eCoins With Your First eCoin Purchase! 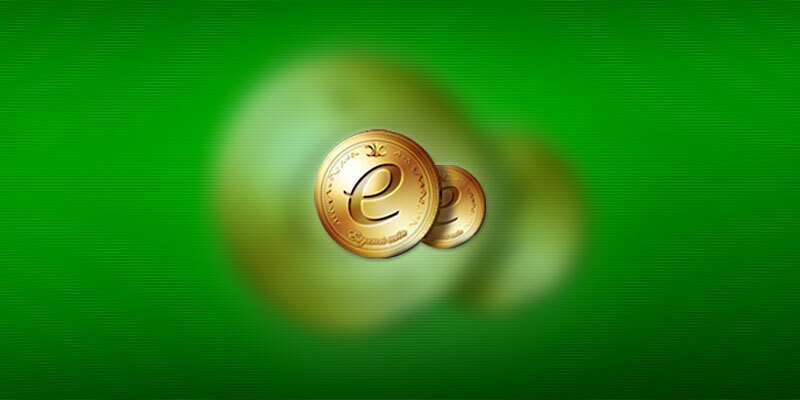 Extra eCoins aplenty for first-time purchasers!! We are thankful for your support. Celebrate with us! We’ve made some room for the new Memoria Chrysos! 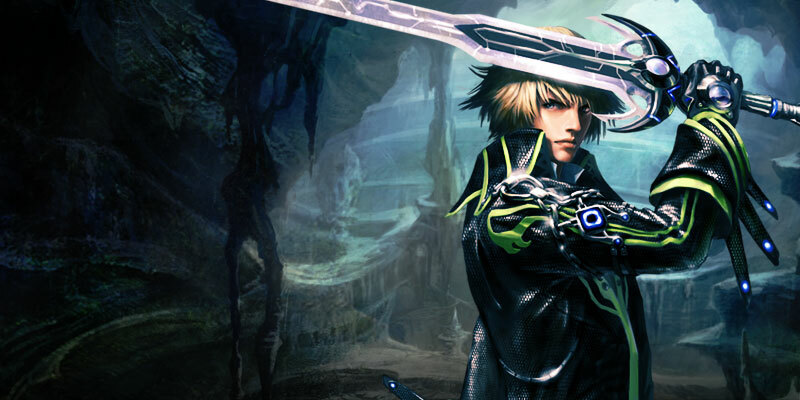 Gather EPIC Items With The New Chaos Box! Now available for a limited time on the Item Shop! 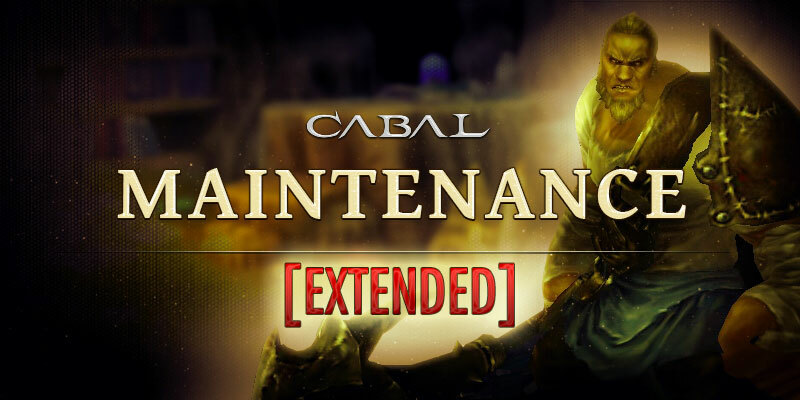 Tonight’s maintenance has been extended, and we anticipate finishing within the next 60min. 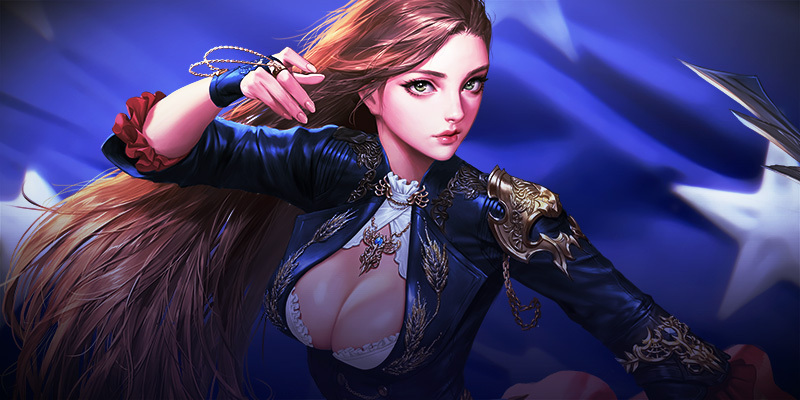 Event: Master the Arts of War! 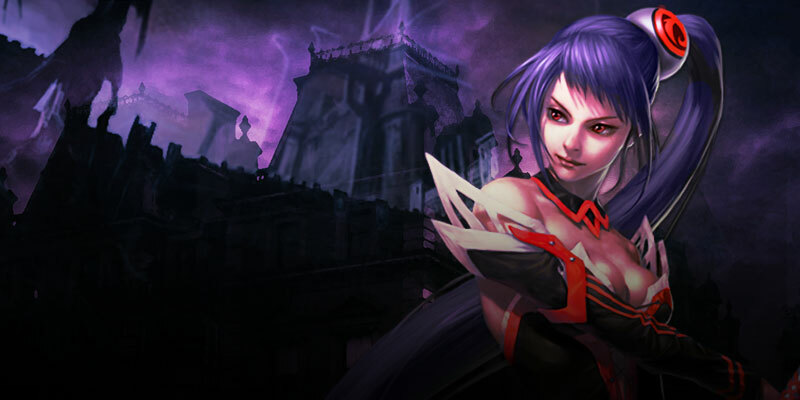 WIll you become a champion of Destruction, Conquest, and Order? Rewards await! 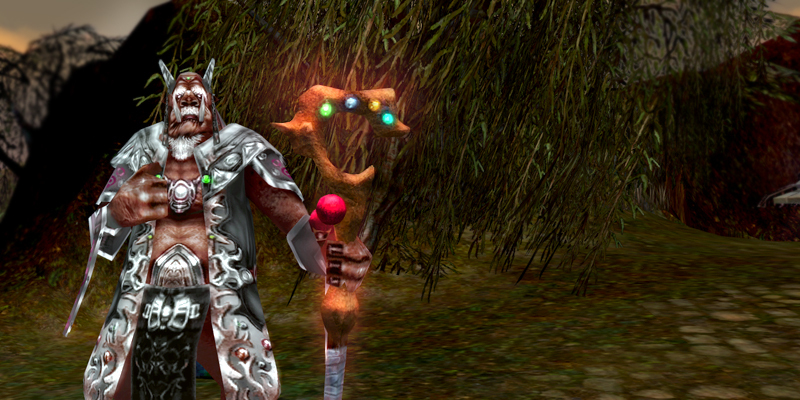 Chaos Talismans On Sale ­up to ­20% Off! This great deal is only available for a limited time! We’re giving away 5,000 upgrade points for free! Tonight's maintenance has been extended 1 hour. The issue has been resolved! Now on sale as on the Item Shop. Pet Untrain Kit - Option now Available! Now on sale as a bundle on the Item Shop. That’s the opportunity you’ve been waiting for. Voucher Weekly Limit Increased to 20! We have raised the purchase limit on our CABAL Gift Vouchers. Celebrate Labor Day with Us! Find out what is inside! Starting today, the Force Gem Packages are available for a much lower price on Item Shop. 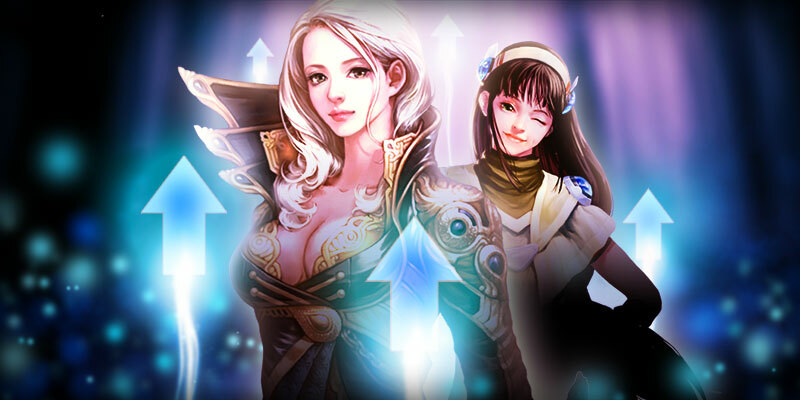 Reach your Apex in Mission War! BB-Plus Coupon with Premium Service Purchase. We are working on bringing it back up! Event Badges will be permanently removed from the Item Shop this week. Tonight's maintenance has been extended for an additional hour. With the 31st update comes the addition Force Gems. 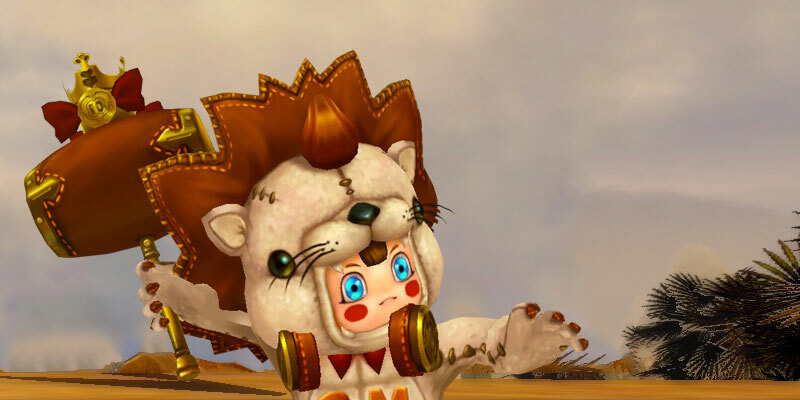 Costumes available from 20-50% off! 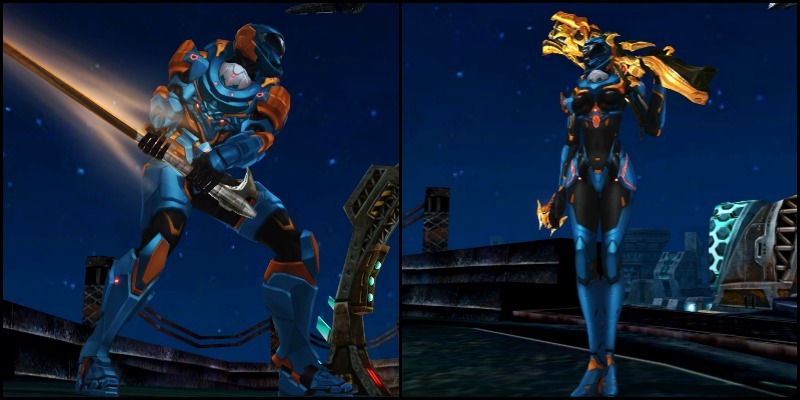 Chaos Box – Weapon Skin 3.0 now available! Get your hands on the new Bloody Skeleton Skin. The Server Merge (Calisto -> Titan) has been postponed. This item allows players to pack an Astral Board into a tradable GiftBox. Stop by our Item Shop and take advantage of the amazing deals we have for you. Bonus, Upgrade Points, and Raids! Has been extended for 30minutes, ~21:30 server time. The Enchant Safeguard (Highest) is now available for a limited time only. 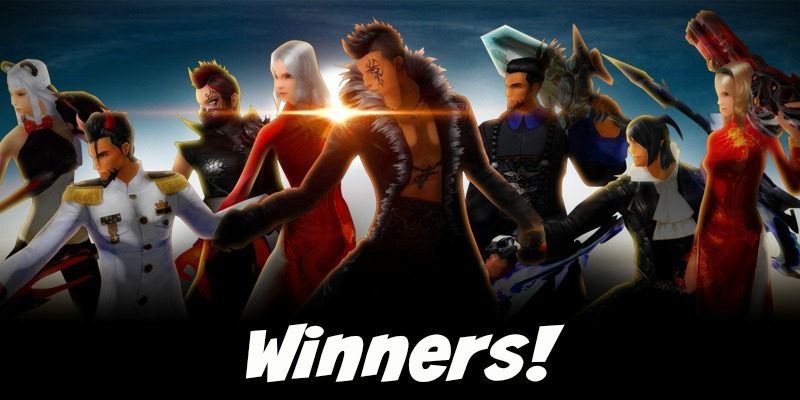 Find out if you were one of the winners! Create your desired wardrobe today! Tell us a comic-style story and win prizes! 100% of EXP, Drop Rate and WEXP! 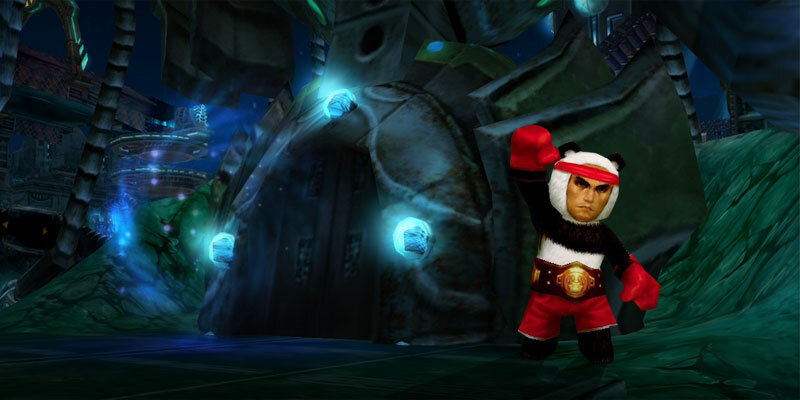 The Good and Evil Box grants the player a chance to receive a tradable version of the new Good and Evil Costume. Newly purchased Chaos Talismans are no longer Account Bound. Make sure and take advantage of these promotional prices while they’re still available. Chaos Talismans and Hyper Odd Circles have been added to our Item Shop. 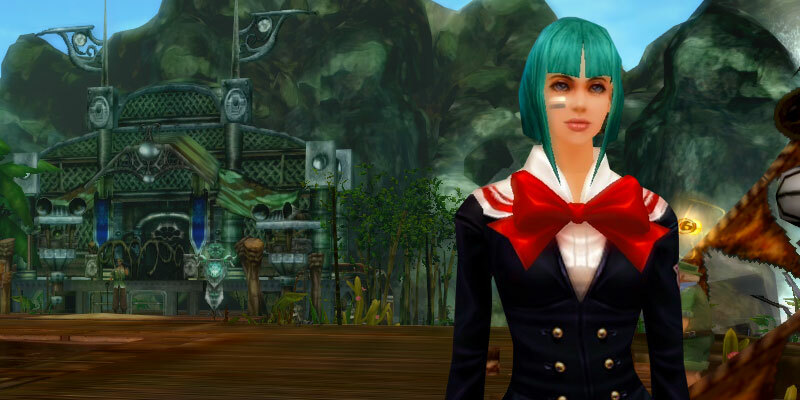 The Unique Costume Box grants the player a chance to receive a [Unique Costume] CABAL High School. 200% EXP Beads are available for a limited time! 200% EXP Beads will be 15% off until Friday 4/24. Inexhaustible Potion (Lv. 4) now available. Inexhaustible Potion (Lv. 4)'s will now be available for purchase. Level Up and Race to 200! 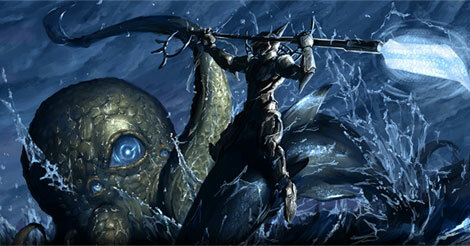 Receive rewards as you transcend to the new depths of CABAL Online! Due to a technical issue, gift card purchases through the Openbucks network will be temporarily unavailable. 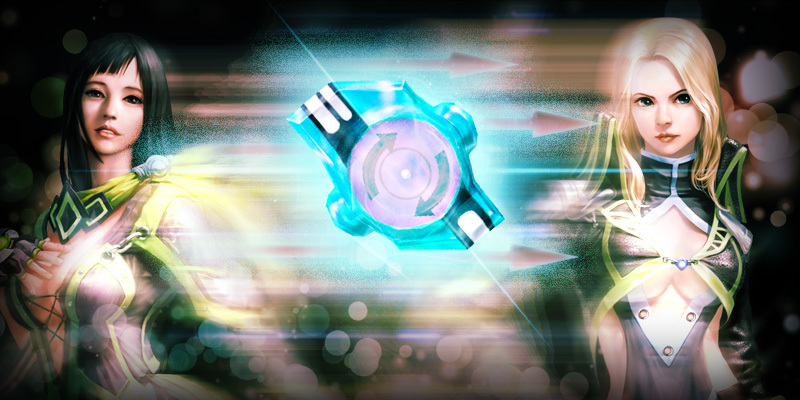 Take your items to the next level with the help of free upgrade points and cores! CABAL Easter Egg now Available! The CABAL Easter Egg grants the player a chance at receiving one of many special items. We’ve put together an exclusive promotion to celebrate Easter! Join us on Facebook for an exclusive community event! The Biggest, Baddest Bosses are going to Be Available as Pets! Stay tuned for release date! The Bloody Valentine Box grants the player a chance to receive the new Nightmare/Wedding costume in the form of a giftbox. Our Saint Patrick's bundle, along with a 20% discount on Charms is now live on the Item Shop. Hunt down our GMs and find a treasure! 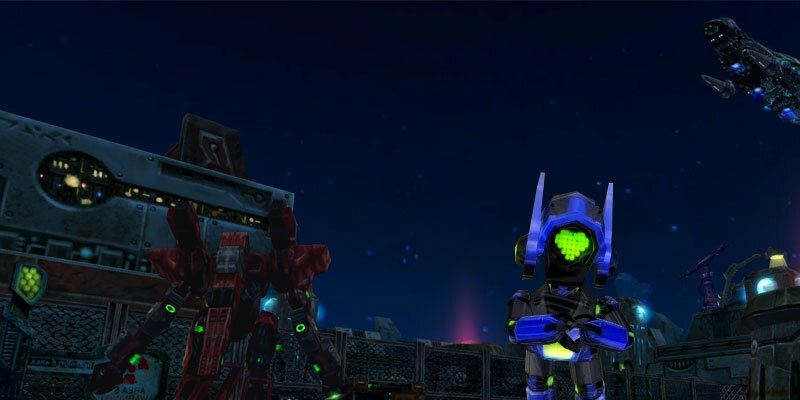 The Nightmare Box grants the player a chance to receive the new Nightmare costume in the form of a giftbox. Defend Nevareth and collect awesome loot! Check out the list and find out if you won! Show us your guild can produce the next best dance video! Event now ends March 11, 2015! Celebrate Brazil's Carnival with us! The Holiday Shop has arrived in Nevareth. The following items currently are not purchasable on our Remote Shop/Quick-buy NPC Item Shop: Extreme Core Pocket (Premium), Premium Repair Kit Box, and Astral Board Card - K Red. Every Love Letter you receive from Yul enters you into a sweepstakes! We apologize for any inconvenience this may cause; tonight's maintenance is going to take additional time to complete. Thank you everyone for your patience. We will keep you updated if anything else changes. 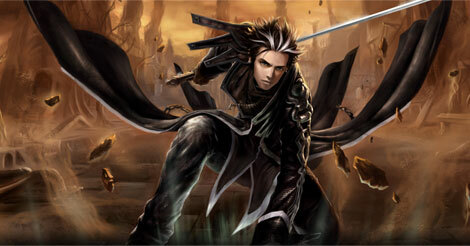 “To be honest it varies depending on who you ask in my guild, some of them like me, wanted to reach Top Tier level of strength, and mechanics of CABAL. New Elixirs on the Item Shop! We are introducing 8 new Elixirs to our Item Shop. The DX 2.0 Update is upon us, and with it comes brand new items to our Item Shop. 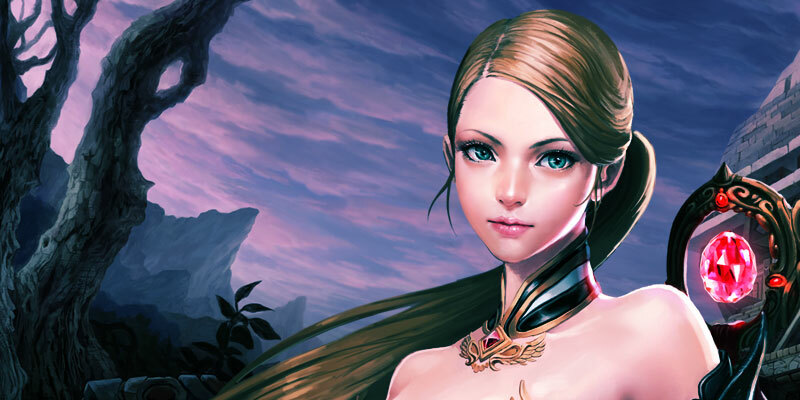 Receive bonus dungeon rewards, free upgrade points, and more! 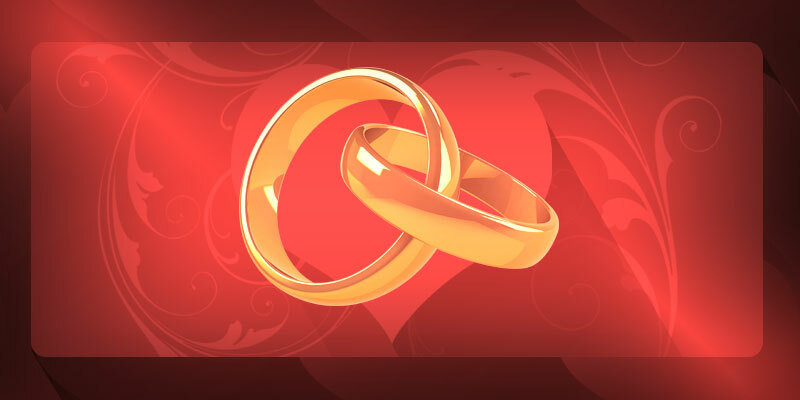 Tell us your love story for a chance to be married live on Twitch! Protection of Veradrix now Available! This sale will last until 1/21/15 so make sure and stock up before it's too late. Pet Untrain Kit – Option now available! Write a love letter for an in-game event! Purchase a Premium Service and receive a coupon for a discounted Blessing Bead – Plus (30 Days). 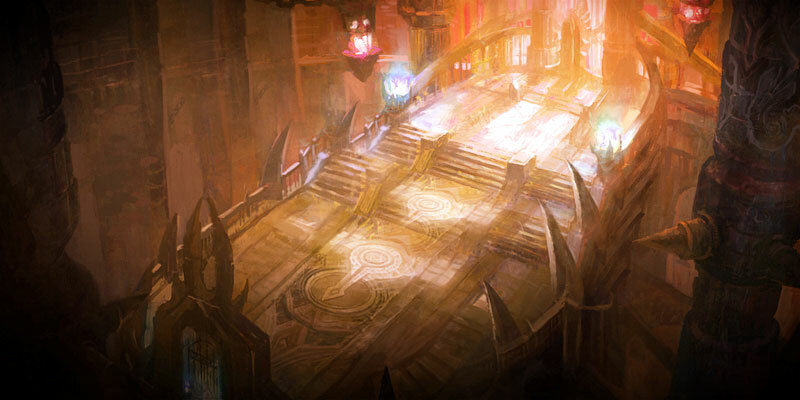 In Legacy 2015, you'll be competing against other guilds from CABAL North America and CABAL Europe to win the coveted prize! Design a CABAL Valentine’s loading screen! Have a safe and wonderful New Years. Our Presents (Lv. 1-3) will be temporarily unavailable on the Item Shop. The issue prevent player login on the website has been fixed. 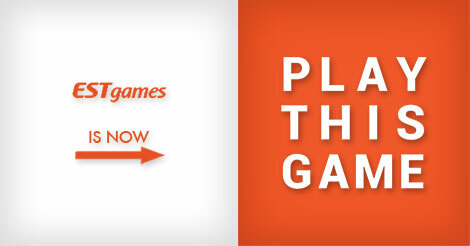 We are currently aware of the issue player are facing when attempting to use the Login feature of our website. Create your own stocking and win a participation prize! Santa's Sleigh, many exclusive Holiday Costumes, and our Lv. 1-3 Presents now available on the Item Shop. 10% off select 200% Blessing Beads! 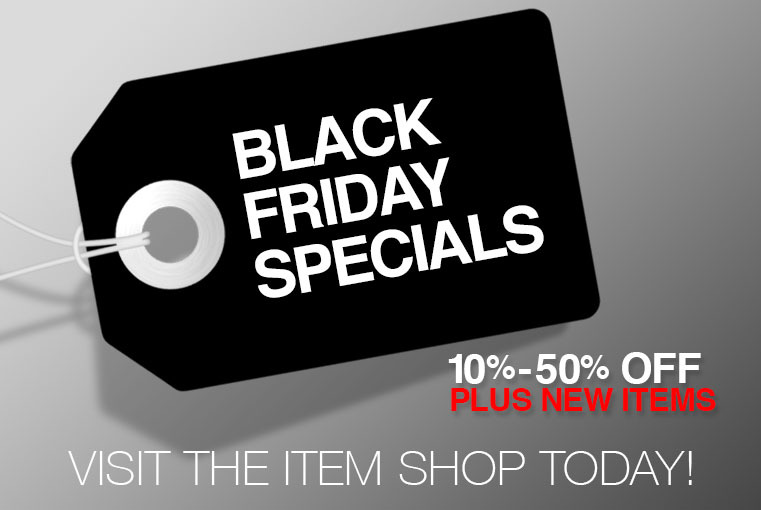 Our Black Friday shop features many of your favorite items at a largely discounted price. Due to an issue with our billing server, the billing system is temporarily unavailable at this moment. The refill of eCoins and the purchase of items will not be possible until the further notice. Utility Belt Now Available in the Item Shop! The Utility Belt is your greatest ally on the battlefield. Read more about tonight's maintenance! 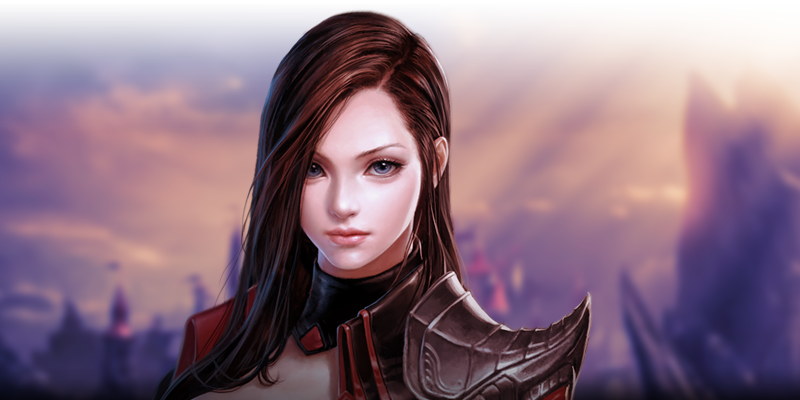 Take your character to the next level and earn prizes! Are you ready to take your gear to the next level? For this weekend our Meritorious Medal Evaluation Orders will be 30% off! Our Superior, Enhanced, and Upgrade Cores are 30% off! 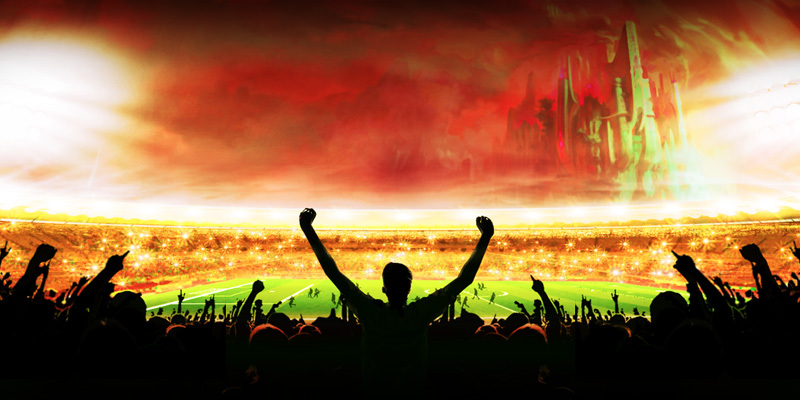 Enjoy one full day of +131% bonuses! Halloween Treat Tickets available on Item Shop! 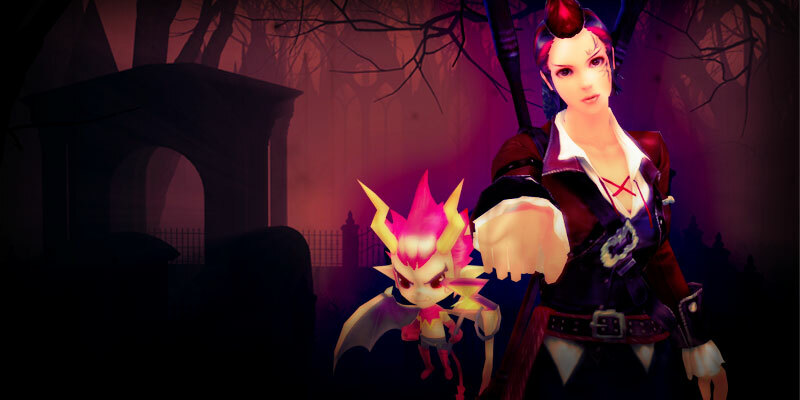 Collect and exchange Halloween Treat Tickets for Forcium gear from NPC Event Girl Yul. Read on for information about upcoming changes in mobile payment acceptance. The Carved have invaded our Item Shop! Stop by for some Tricks & Treats. Assassin’s Sphere Now Available in the Item Shop! Harness the powers of the shadows with the Assassin’s Sphere. For those who are getting "Update Fail" message after the maintenance of 10/15. Check out the list of winners to find out if you won! Stop by the Item Shop and pick up a Minesta Charm for 20% off! 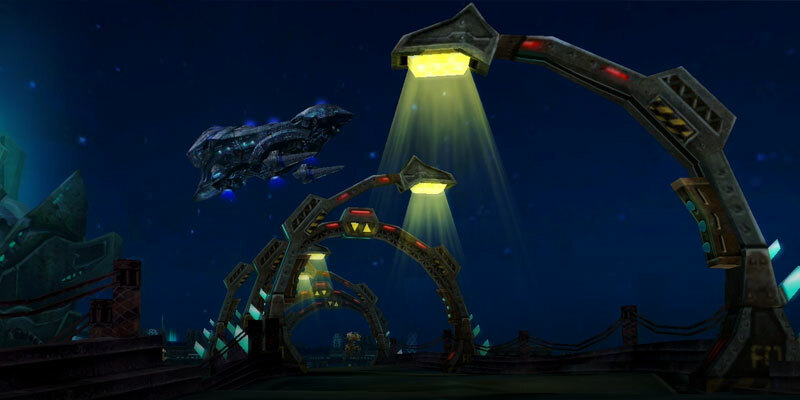 Take your items to the next level with the help of the upgrade points event! 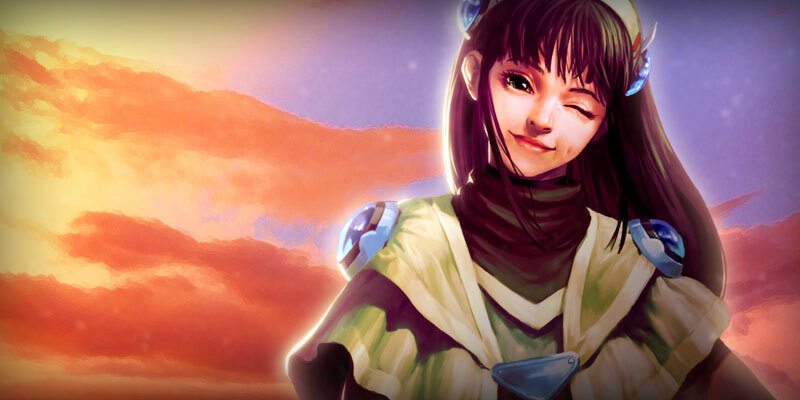 Read on for details of Karma Koin's upcoming maintenance. You will receive 50% off if you purchase either of these items for this week only. 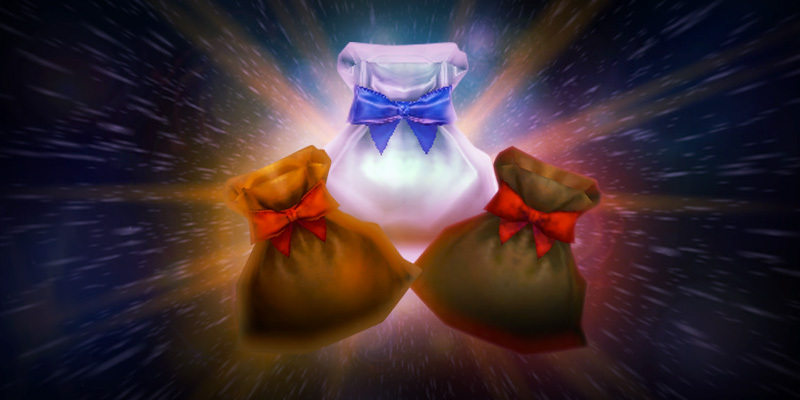 Antique Bags Now Available in the Item Shop! This limited time offer will be available in singles and in packs of 5 in the Item Shop from September 22nd ~ September 29th. Ultimatepay based payment options will no longer be available. Find more information and alternative options here. New +200% WExp Blessing Bead Available Right Now! For a limited time only, experience the power of the bead! 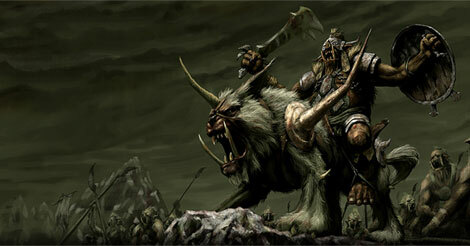 We are excited to announce the release of our all new Premium Service, Warlord Service. Genie Lamps Now Available in the Item Shop! 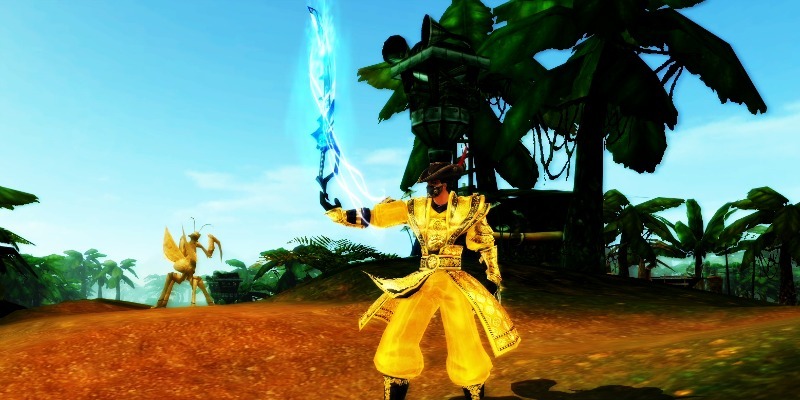 Visit our Item Shop to get your hands on magical Genie Lamps! This week our Hat Shop will be making its way to Nevareth. We have prepared another bonus event for you! We are currently experiencing a problem with the game login. Voucher Weekly Limit Increased to 10! We have raised the purchase limit on our CABAL Gift Vouchers to 10. Safeguards are Now Back in the Item Shop! The Enchant Safeguards are back in the Item Shop! We have prepared another bonus event for you! Be sure not to miss it! 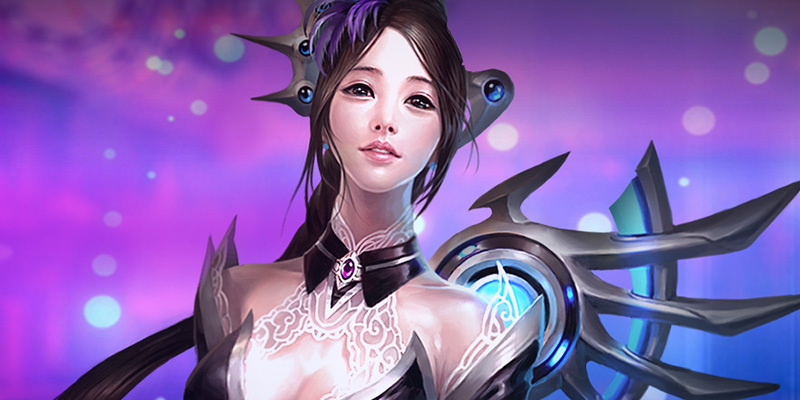 Bike Epic Reset Scroll now Available! This week on our Item Shop we are offering all of our Premium Services at 25% off! We will be offering 200% versions of our EXP, Skill EXP, Pet EXP, and AXP Beads. 4th of July Bonus week! 50% off 30 Day Astral Boards! CABAL Cup Trophies available on Item Shop! Pet Bundles / Brazil Uniform now available! Pet Untrain Kit – Option now on sale! The CABAL Facebook Team will be hosting a special event! 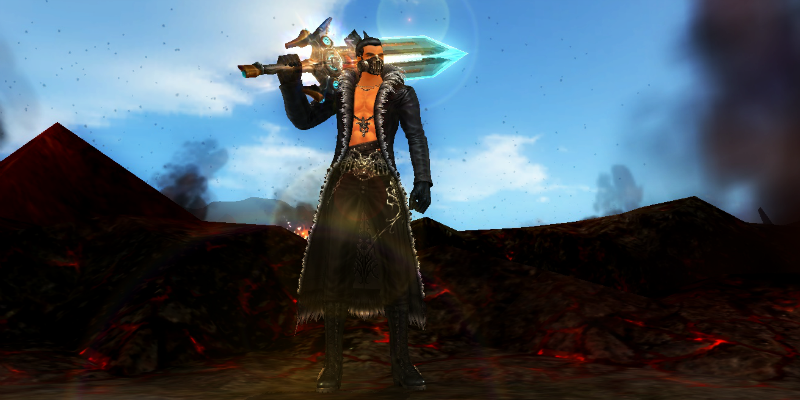 GoCash: CABAL Online PINs On Sale! 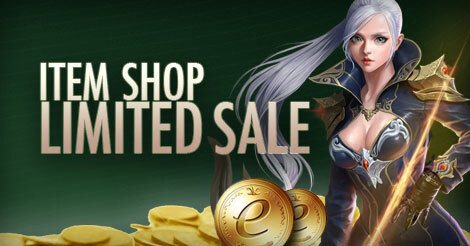 For a limited time, PINs redeemable for CABAL Online are on sale at GoCash! New Hair Styles in Store Now! Our Item Shop has a new addition that has come in the form of 8 new hair styles! Week 3 of the Spring Item Update is here! GoCash Game Card Available After May 1st! 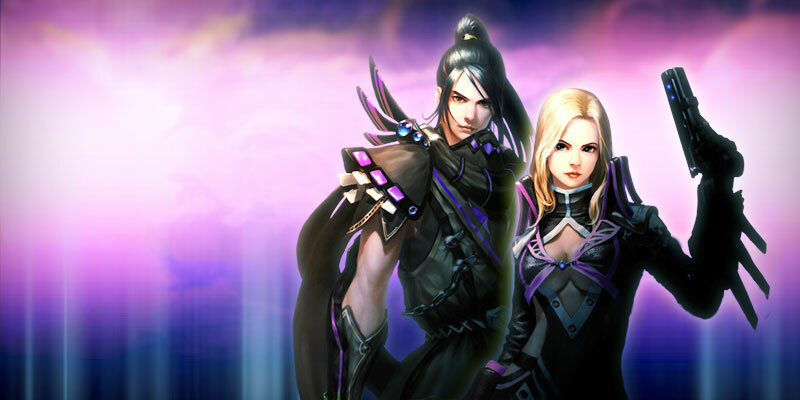 After May 1st, you can once again redeem GoCash Game Cards for CABAL Online eCoins! Celebrate Easter with CABAL, as we will be hosting a variety bonus event along with an exclusive “CABAL Easter Egg” sale. We can confirm that the issue has been resolved. 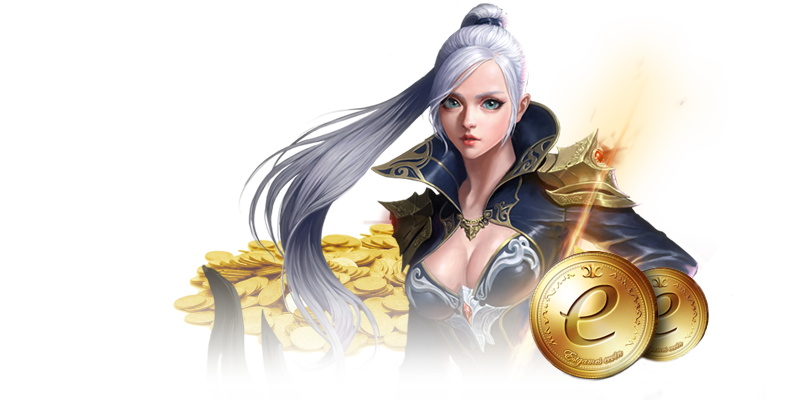 Karma Koin: +10% eCoin Bonus Until April 30th! From April 15th to April 30th, Karma Koin refills grant an extra 10% eCoins! Avoid using the check files function until further notice. 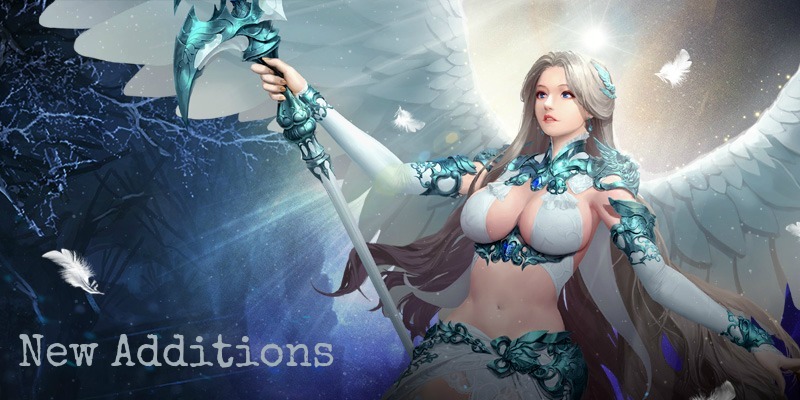 Letter collection event, gladiator level event, and bonus dungeon reward event. Return to the world of Nevareth! Welcome back to the world of Nevareth! 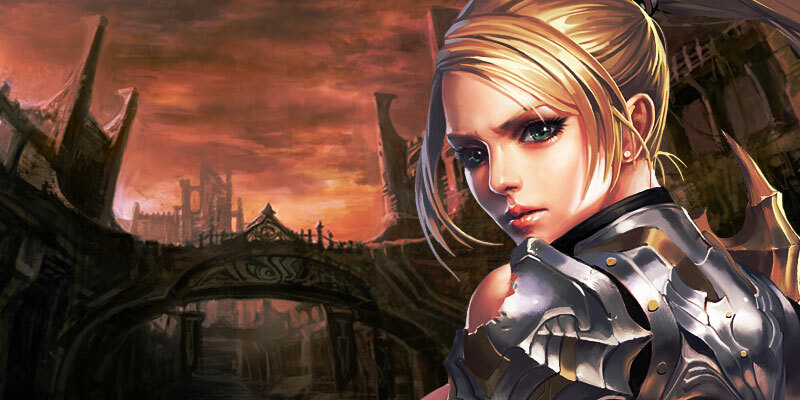 We are very glad that you are here to be the part of the largest content update ever created for CABAL Online, Episode X: Gladiator! We know you’ve been craving to get your hands on the Gladiator Battle Style and start decimating your opponents in the Forest of Nostalgia! This upcoming Spring our Item Shop is going to have amazing new additions for our players to enjoy. 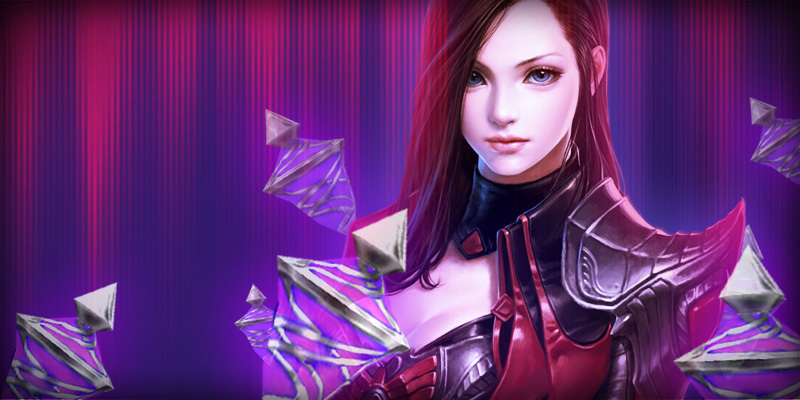 CABAL Online players will have until April 1st to redeem their remaining GoCash Game Cards. Our Saint Patrick’s Bundle contains 3 items. 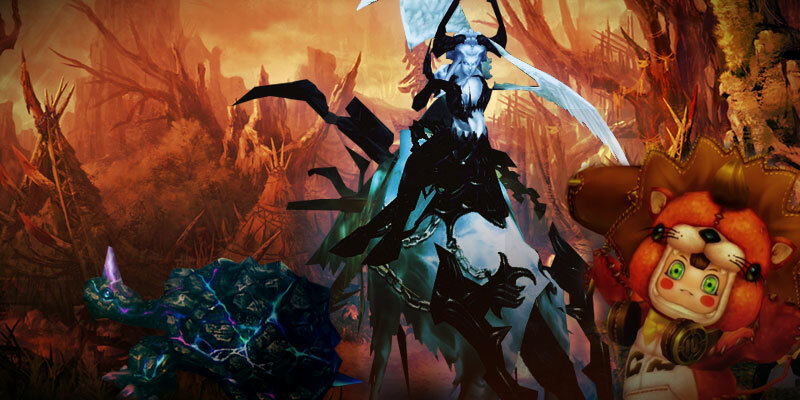 The popular Chaos Box – Enchant Safeguard, our new CABAL Lucky Bag, and a Chaos Box – Hardness Capsule. New Payment Method: Karma Koin Now Available! Help make a difference by refilling your eCoins with Karma Koin! Bike Coating Kits are here! Our Item Shop has new additions in the form of awesome Bike Coating Kits. Enter grand prize giveaways and earn participation prizes. Weapon Skin Shop is now Open! Weapon Skin Shop is now Open! We are also offering a Blessing Bead - WEXP 100% (30 Days) on our Item Shop for the duration of the Sweepstakes Event. New Items for Return of the Guardians! To compensate for the inconvenience we've caused. We will be providing an 50% EXP and 50% WEXP boost event. This event should be available right after the maintenance and will run until February 9. Change Kit - Face/Hair 20% OFF! CABAL is offering all of our Change Kit - Face/Hair, as well as our X-Gen card at 20% OFF! Boost Your Experience With GoCash Conclusion! The Boost Your Experience event with GoCash has concluded! See more for information about redeeming your prize! Boost Your Experience With GoCash! Boost your experience gains with a FREE GoCash bonus this holiday season! 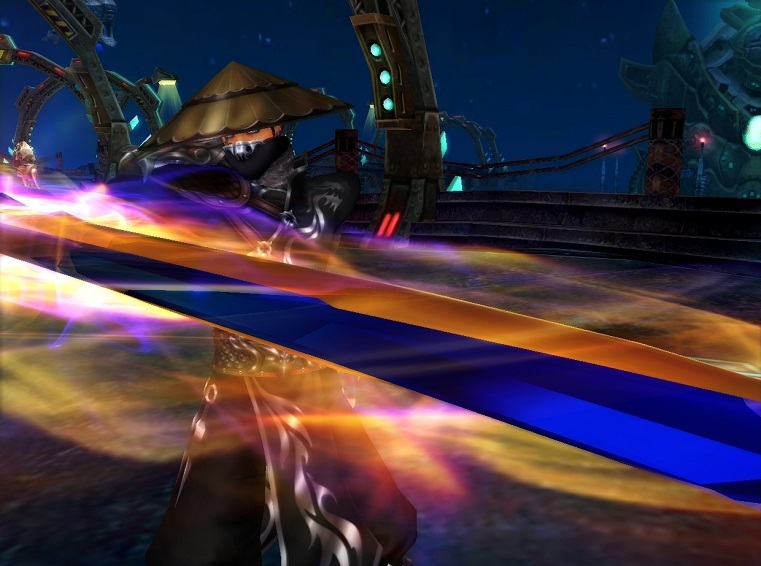 Fueled with unbridled rage and fury, these deadly warriors mastered the use of the ancient weapon called Chakram. We are glad to announce that the network stability issue we were experiencing earlier has now been resolved. EXP, AXP, and W.EXP bonus! We have some amazing deals in store for you. BilltoMobile - Additional countries now supported! The time has come and CABALLOWEEN is upon us. 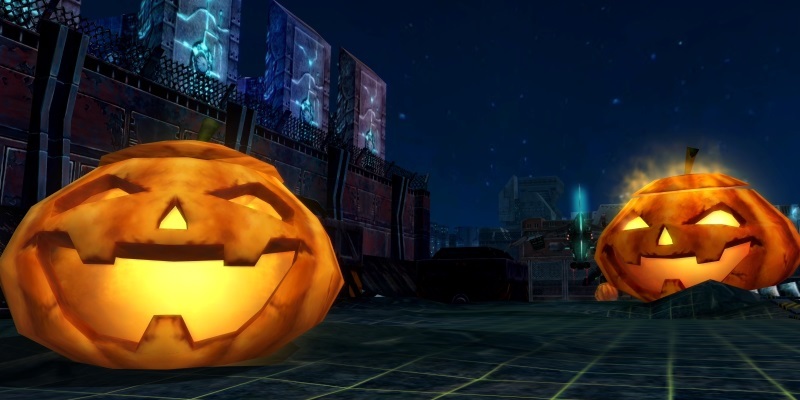 Pumpkin Mayhem & Level Rewards Event! 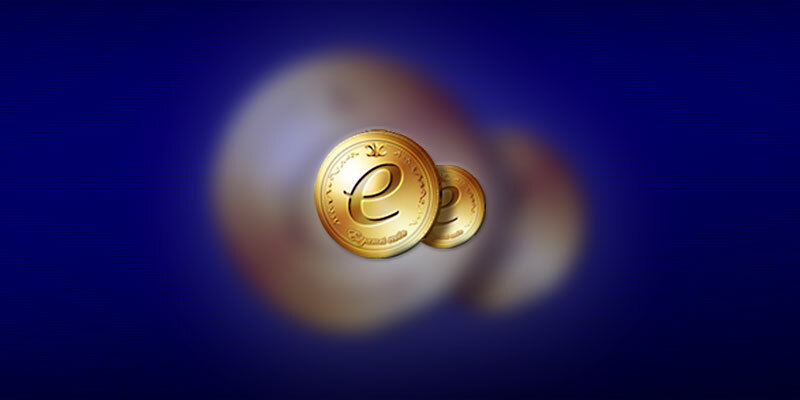 Our eCoin Shop/Refill page will be unavailable at 10:00 PM - 11:00 PM tonight. Please read more for details about a recent security issue affecting some vBulletin forum systems. 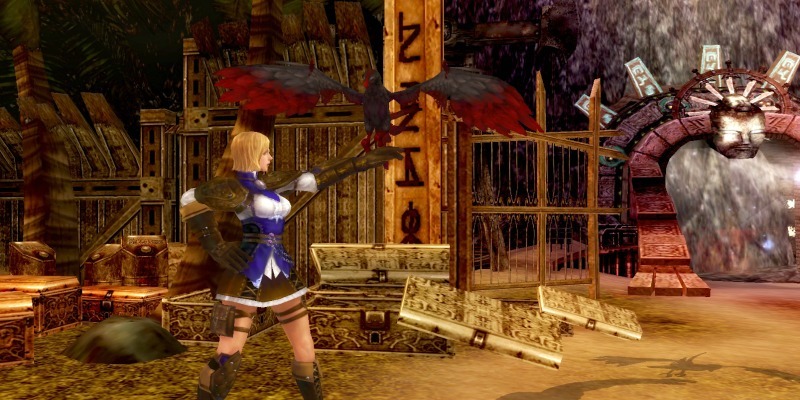 CABAL Online Succeeds On Steam Greenlight! 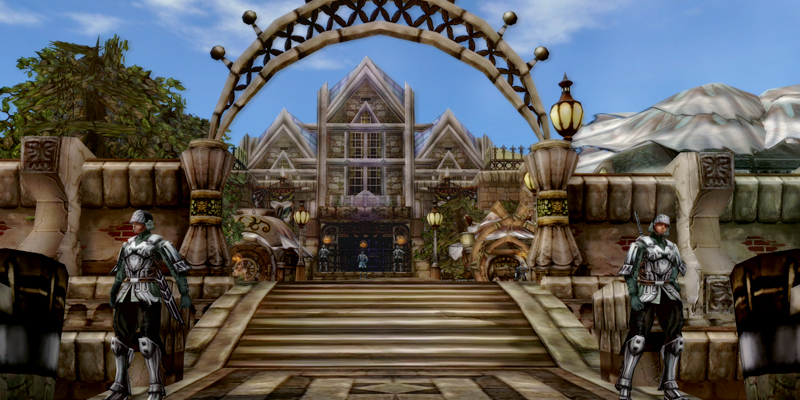 CABAL Online will be coming to Steam soon! 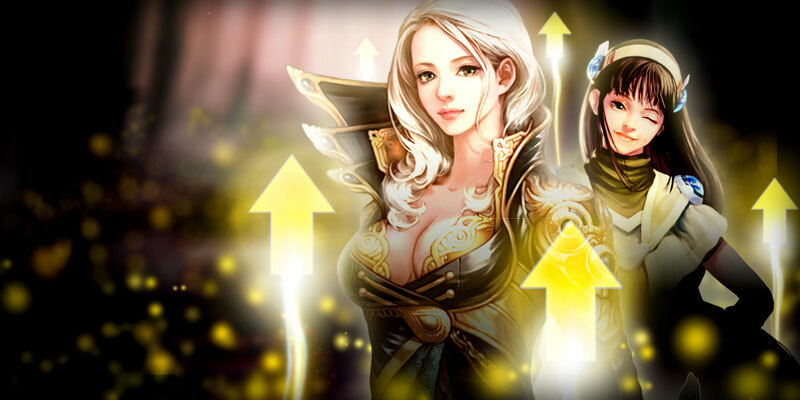 Month-long server boosts ahead! 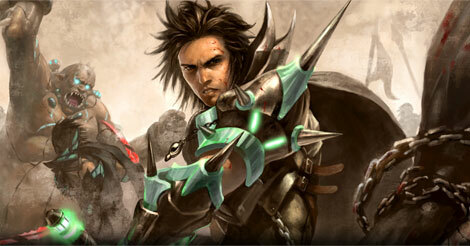 Support CABAL Online On Steam Greenlight: Server Boosts Announced! Season 1 has come to an end. 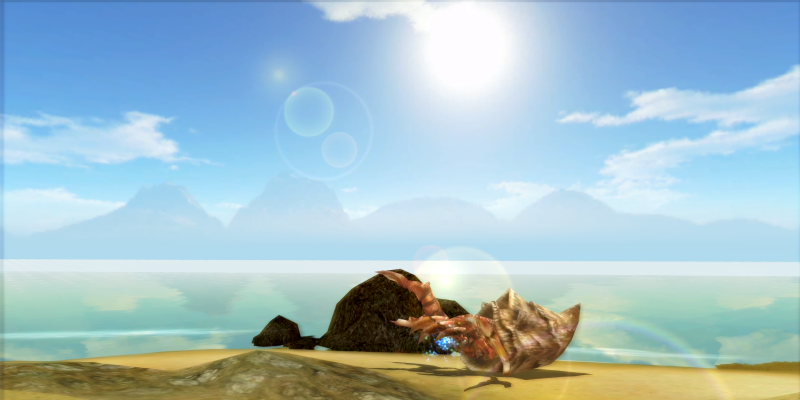 We will be hosting a variety bonus event exclusive for the weekends along with a Turtle Takeover event. 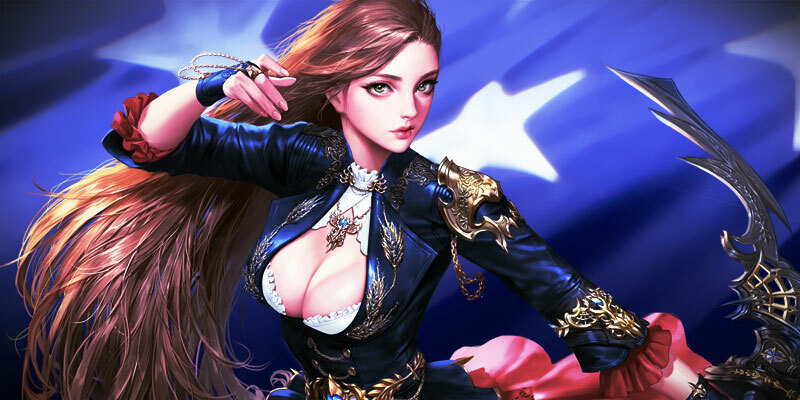 We will be performing our server maintenance on September 11th. 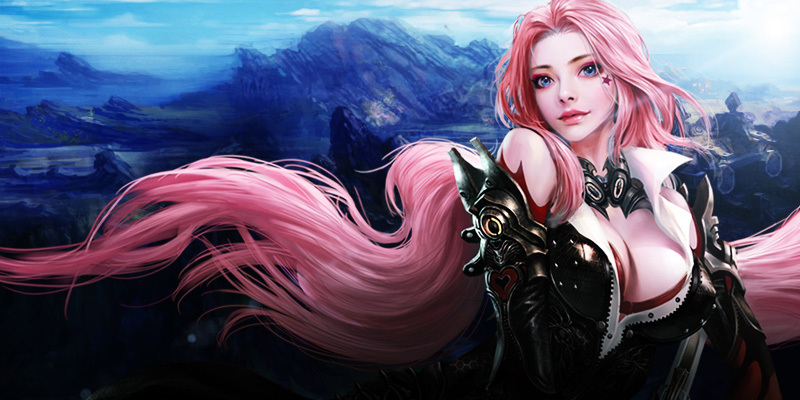 For this weekend we will be having an Enchant Safeguard Highest Sale. This week we are introducing a new item to our Item Shop, Minesta Training Book Chapters. 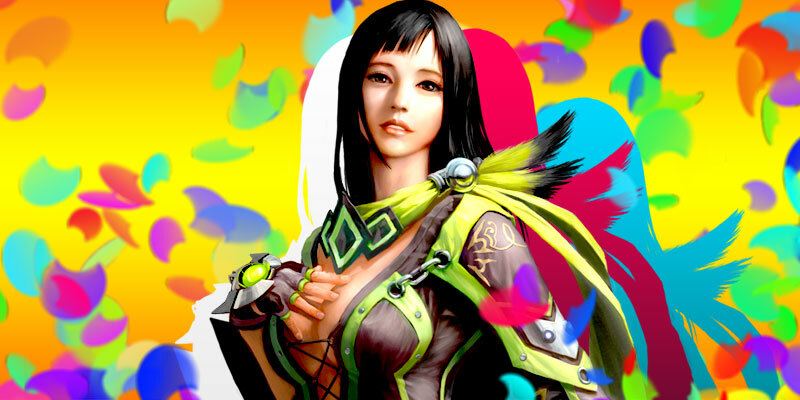 We will be performing our server maintenance on September 4th. GoCash Radical August Ring Giveaway Conclusion! The Radical August Ring Giveaway has concluded! Our winners have been selected and prizes have been delivered! 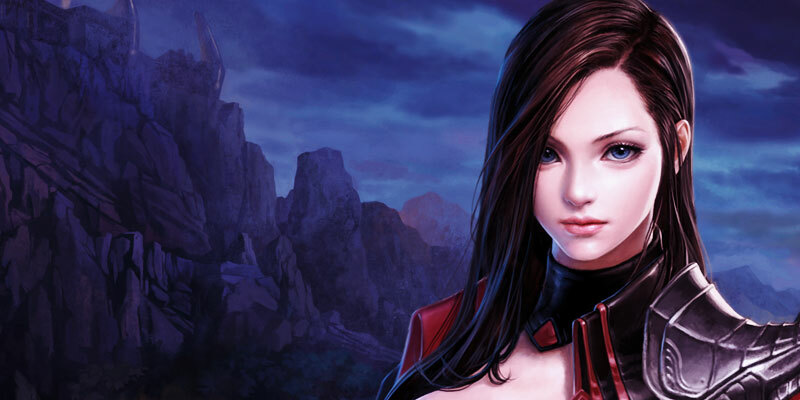 We are proud to announce that ESTsoft Inc. is officially assuming all publishing and servicing privileges for CABAL Online in Brazil. 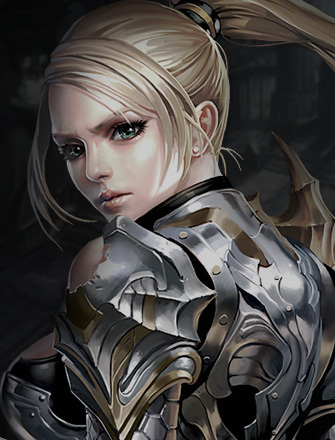 Enchant Safeguard Bundles 30% OFF! We will be offering our Safeguard (High/Medium) 10 + 1 free bundles at 30% off! 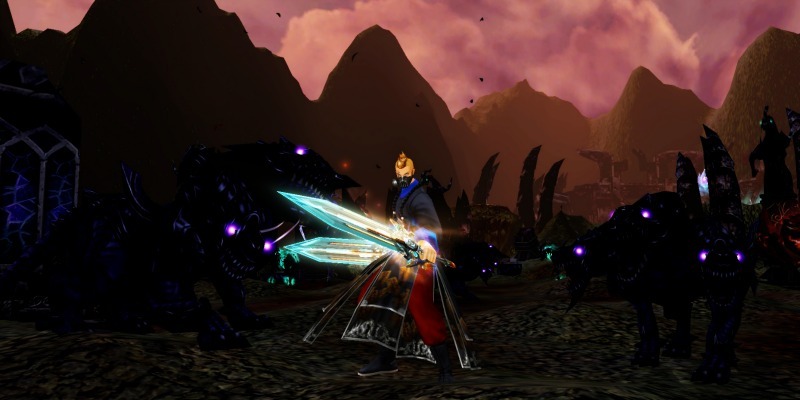 CABAL Online Enters The Top 25 On Steam Greenlight! 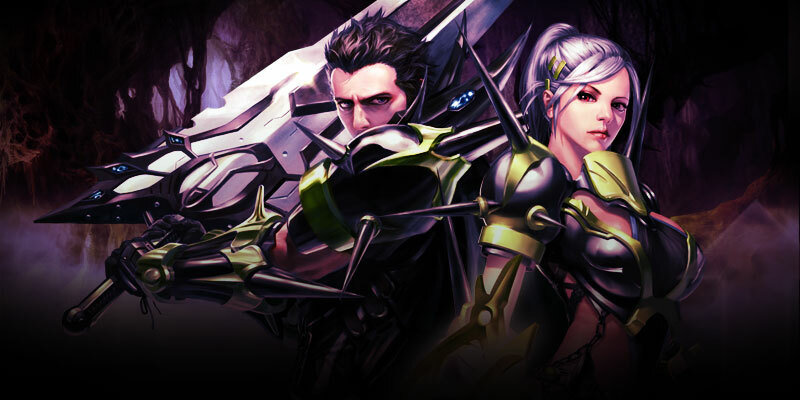 CABAL Online has entered the Top 25 on Steam Greenlight! 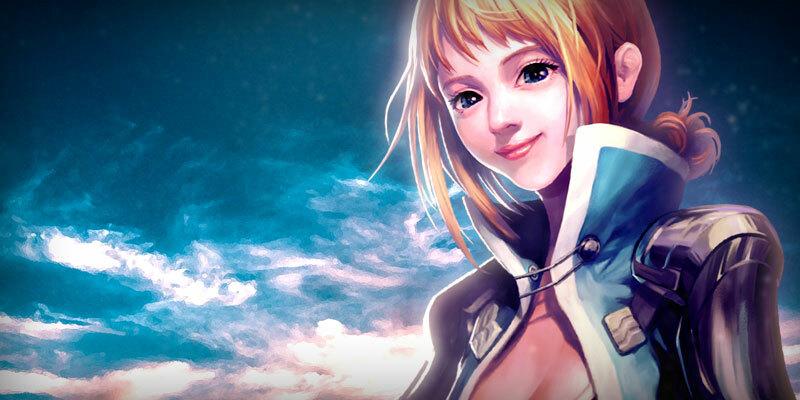 We will be performing our server maintenance on August 21.